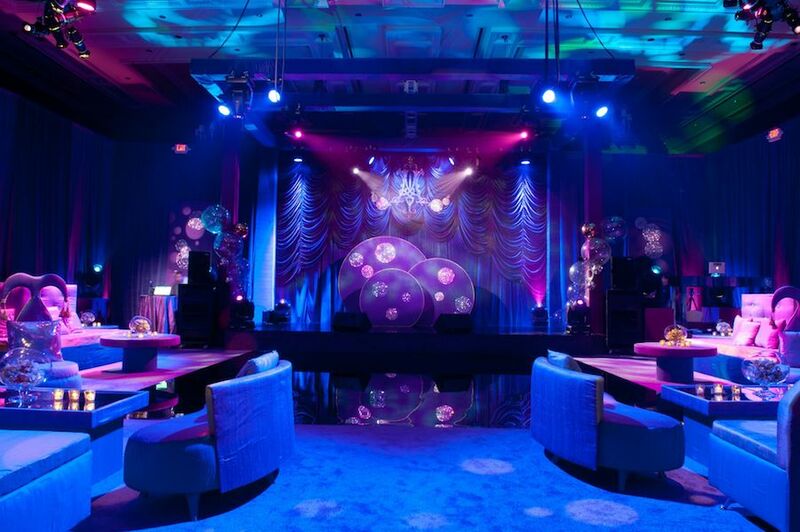 We were so honored to design and produce Alana’s La La Land Inspired Bat Mitzvah. 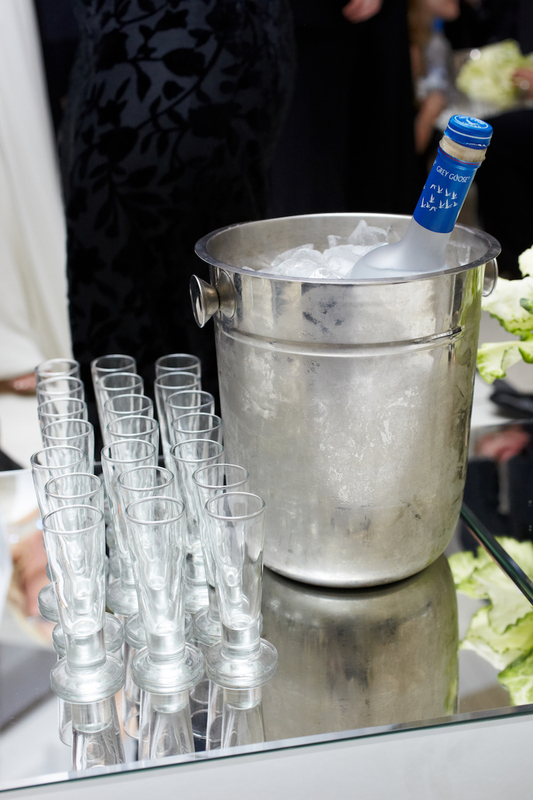 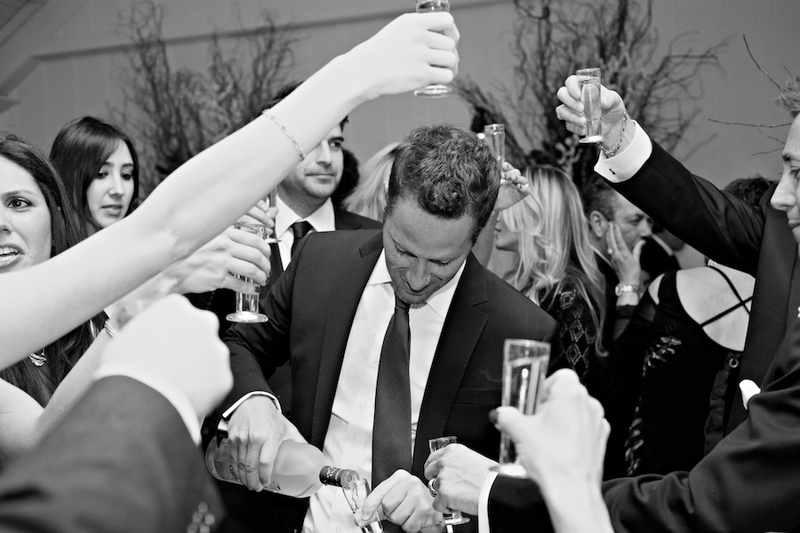 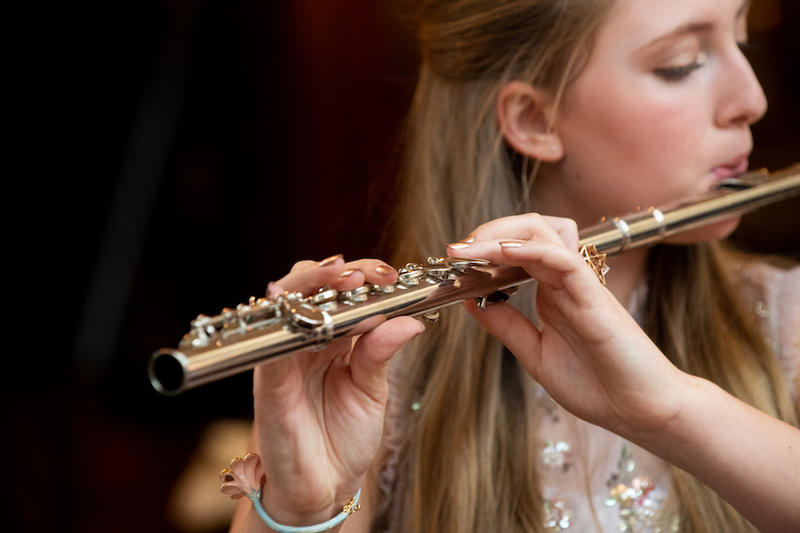 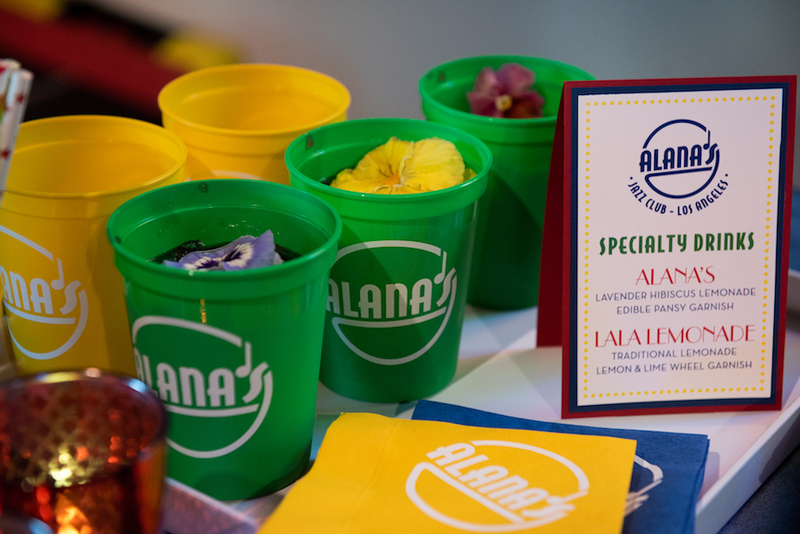 Being our clients for over 16 years, we were lucky to have planned Alana’s parent’s wedding, as well as her brother’s bar mitzvah, and other meaningful family events. 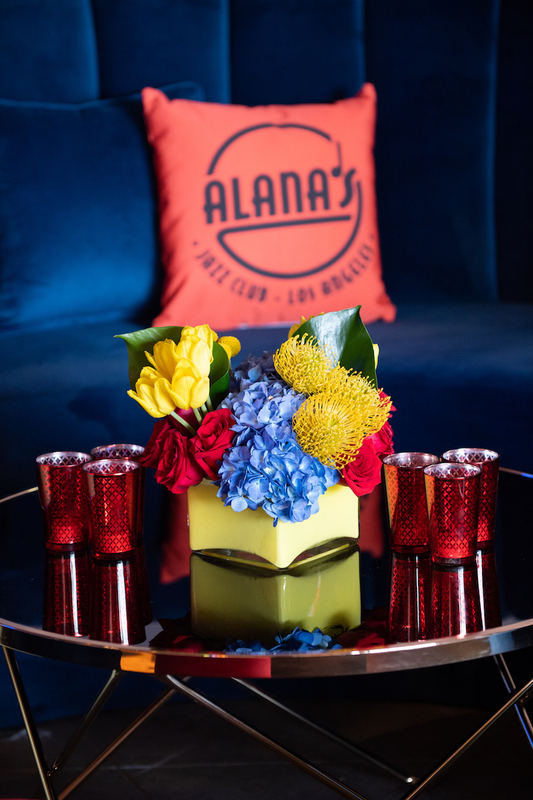 Watching Alana grow into such a beautiful and sweet young lady over the years made “Alana Land” an extra special celebration not only for the guests but for us as well! 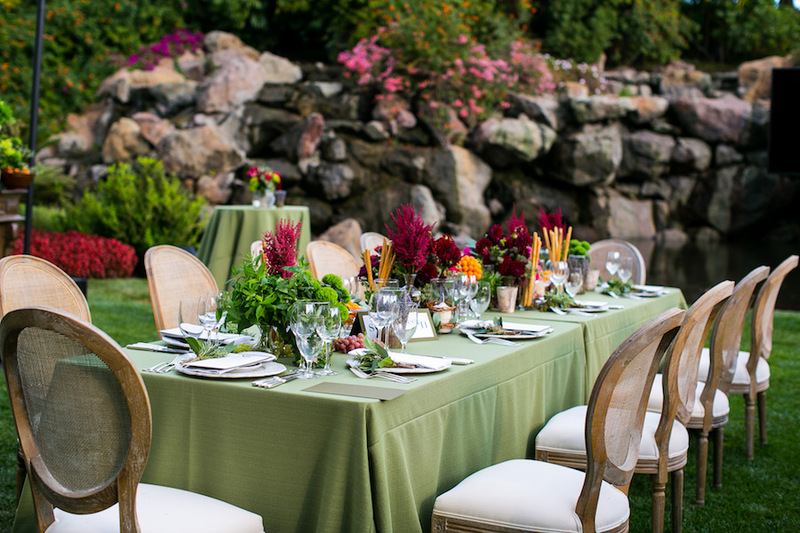 The Kiddush Luncheon was held on the patio of the lovely Bistro Garden! 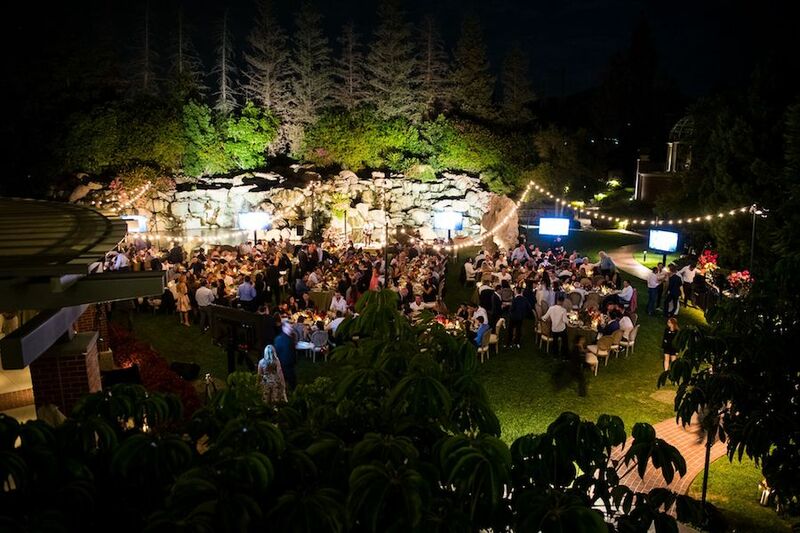 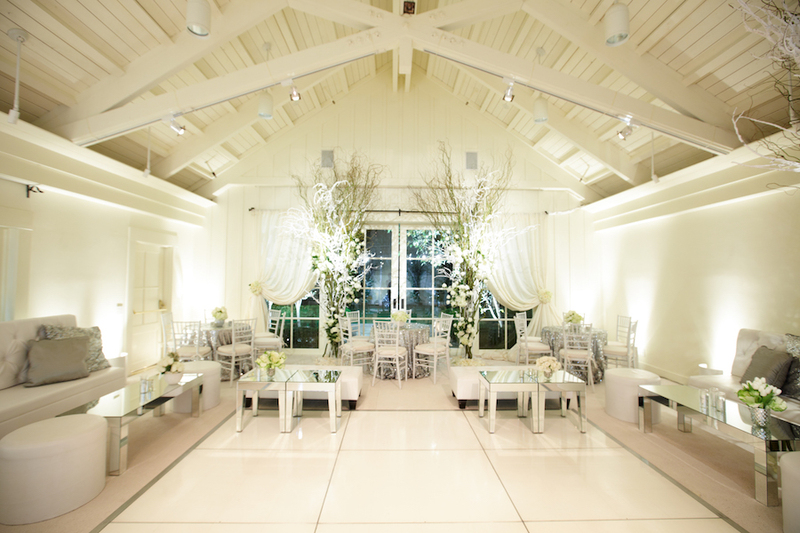 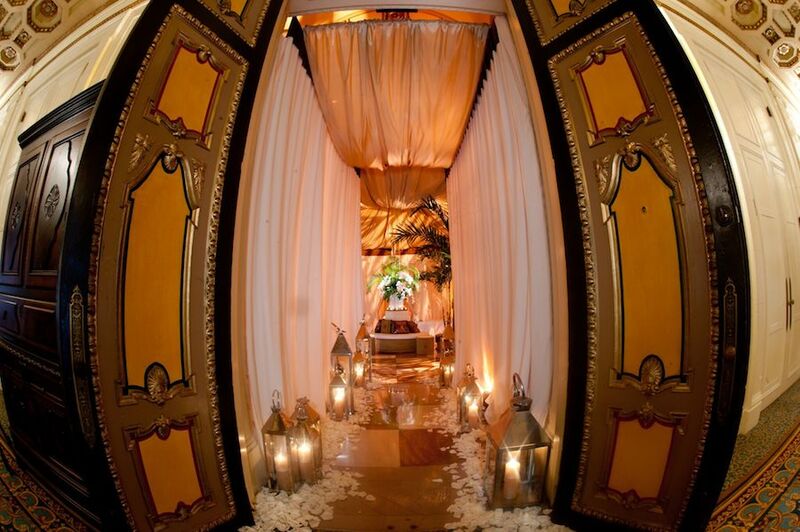 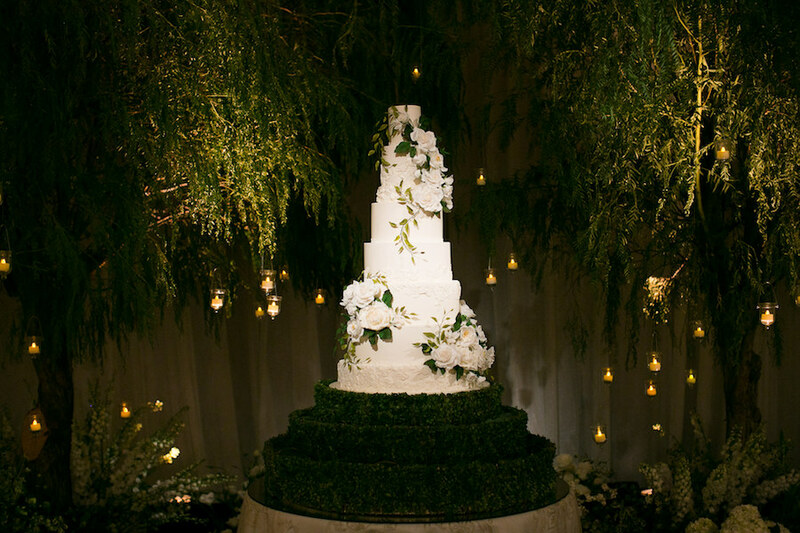 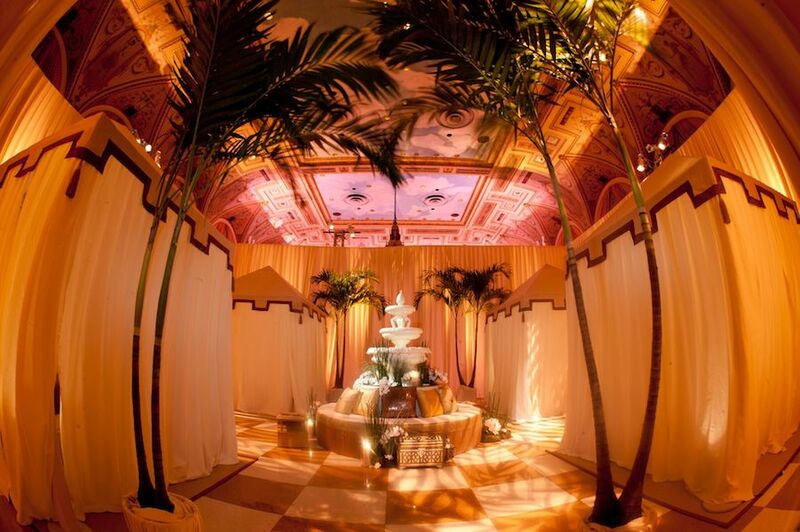 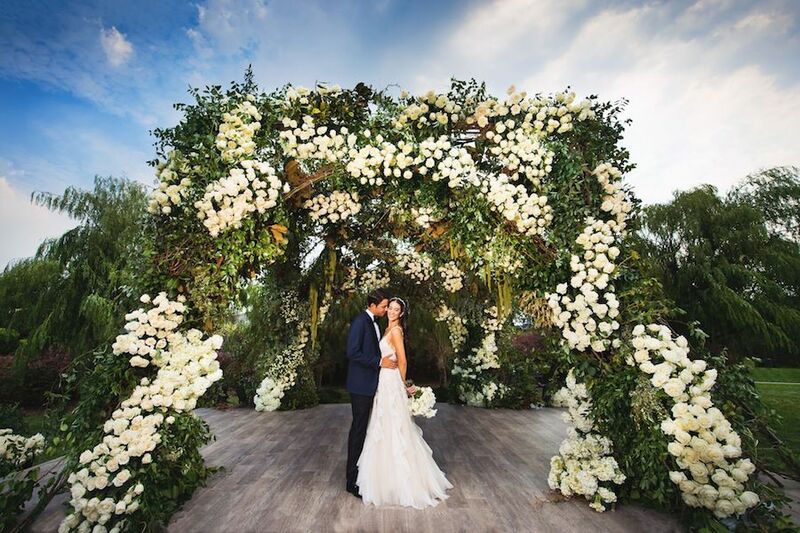 With sky lighting and indoor lush greenery, it was the perfect setting for this lovely celebration. 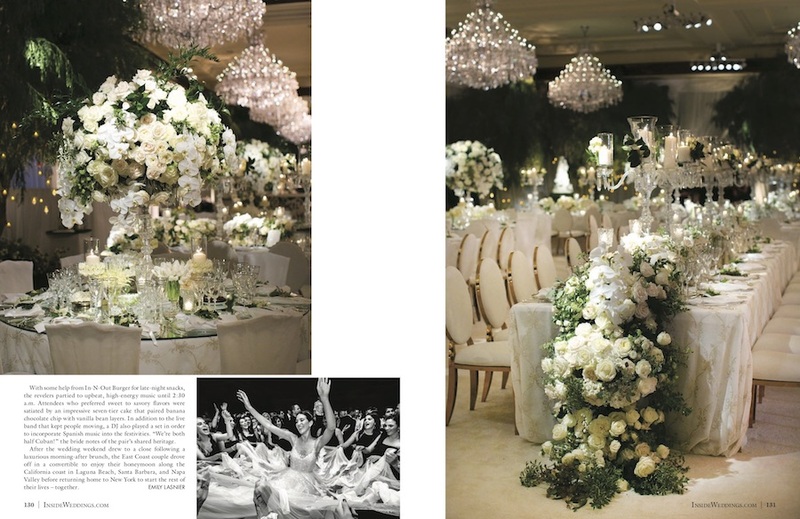 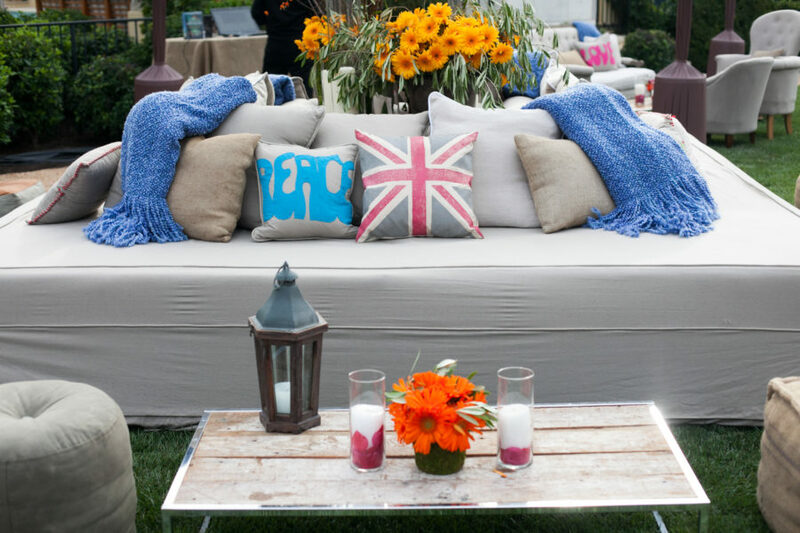 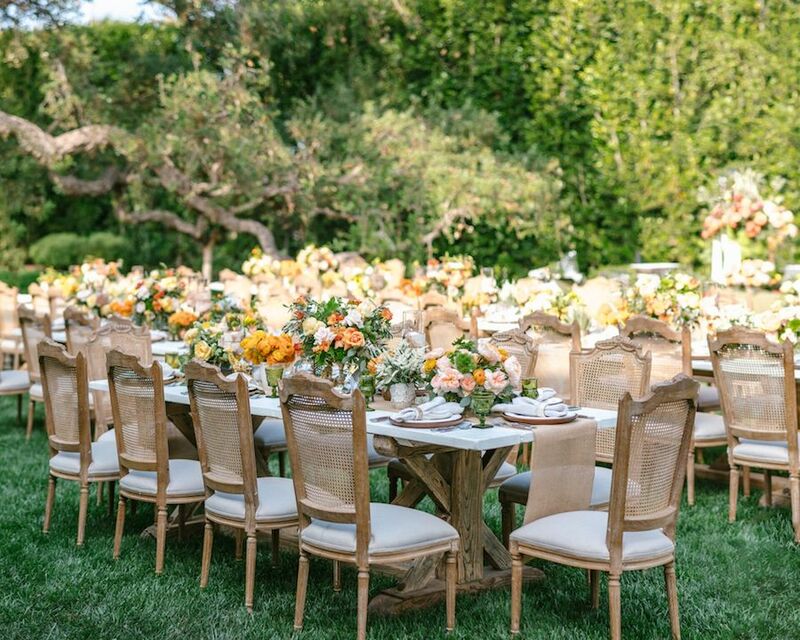 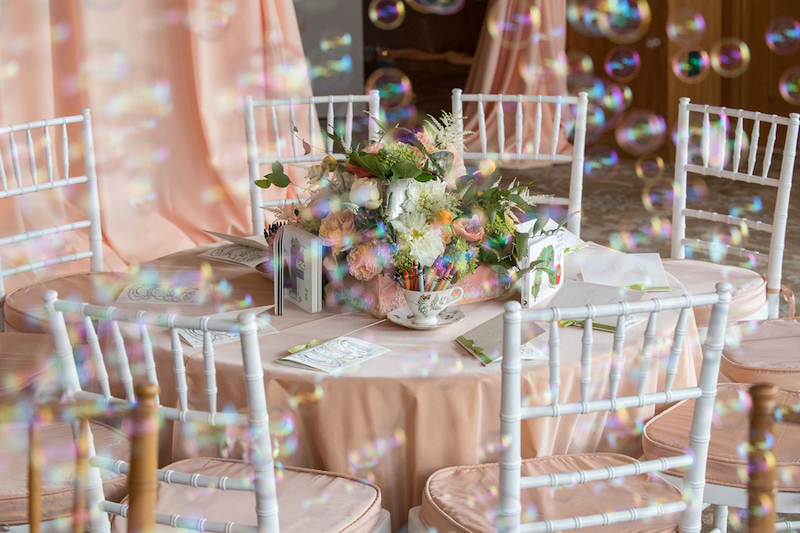 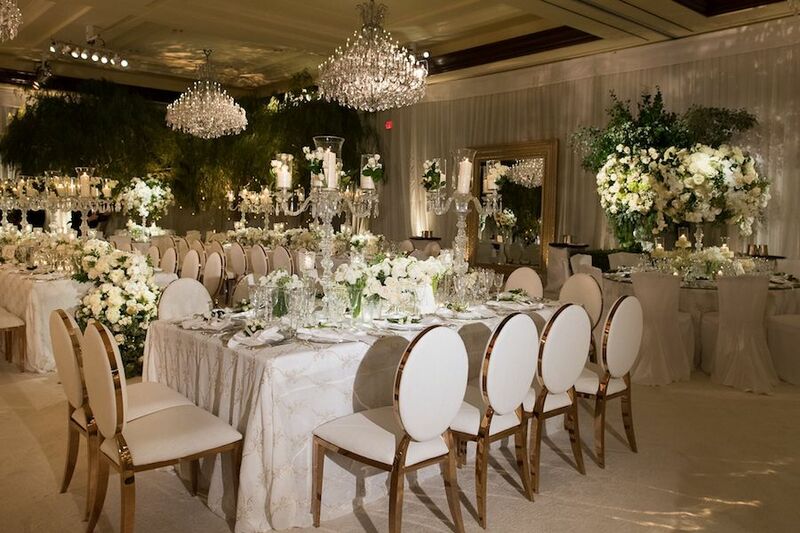 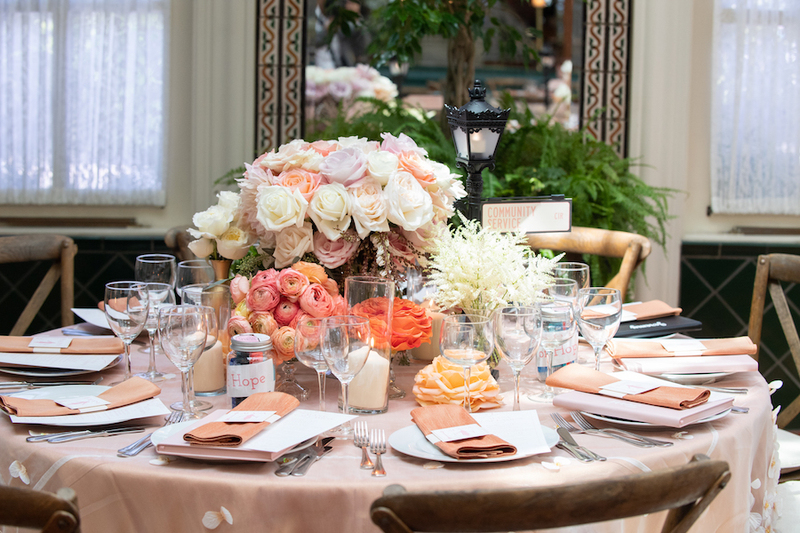 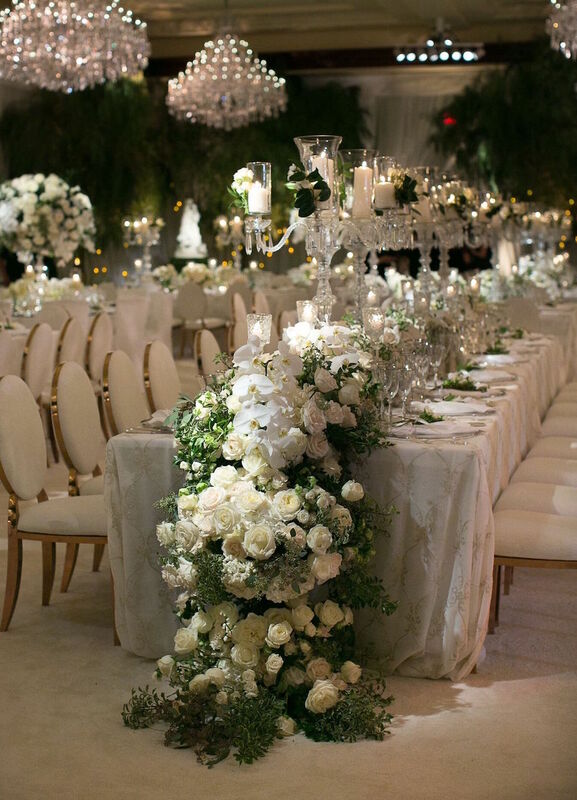 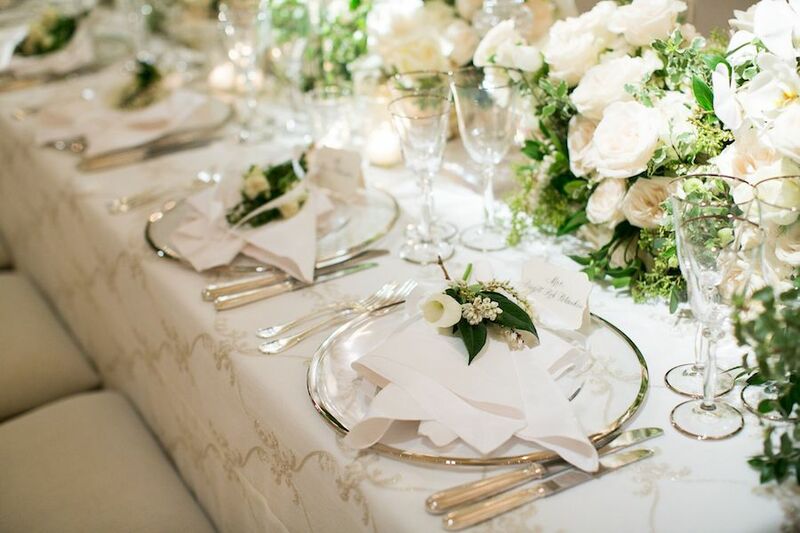 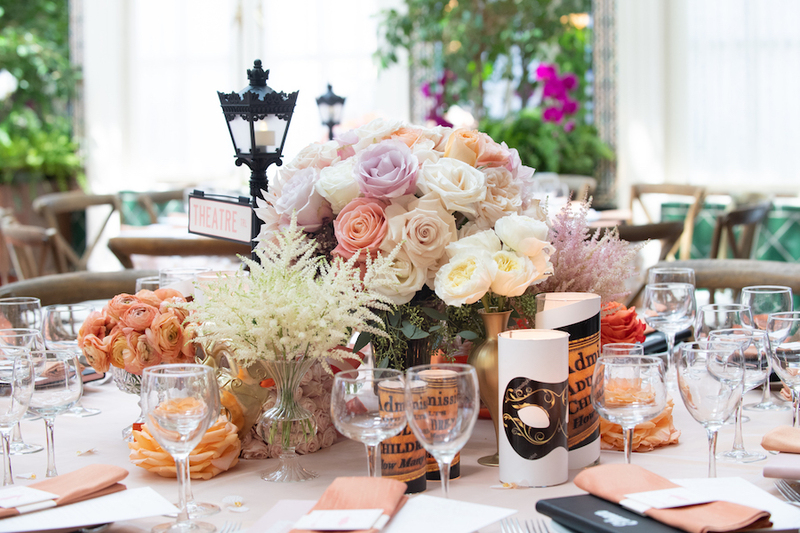 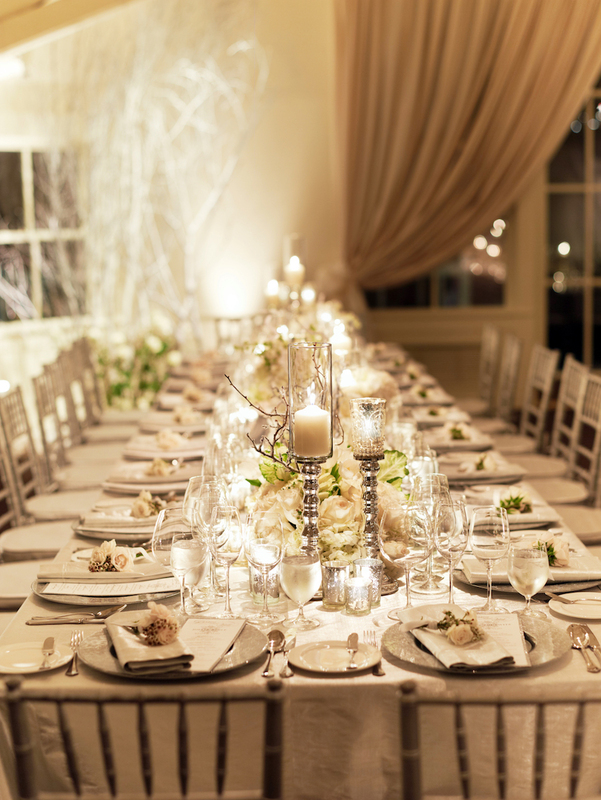 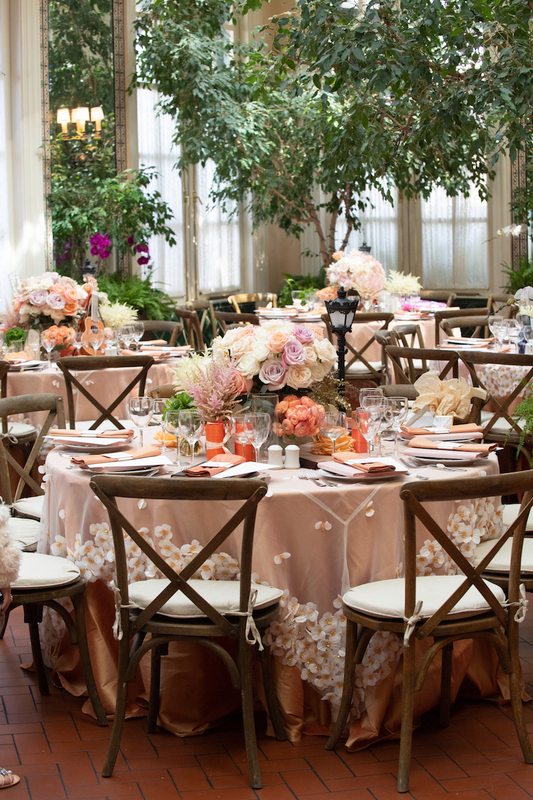 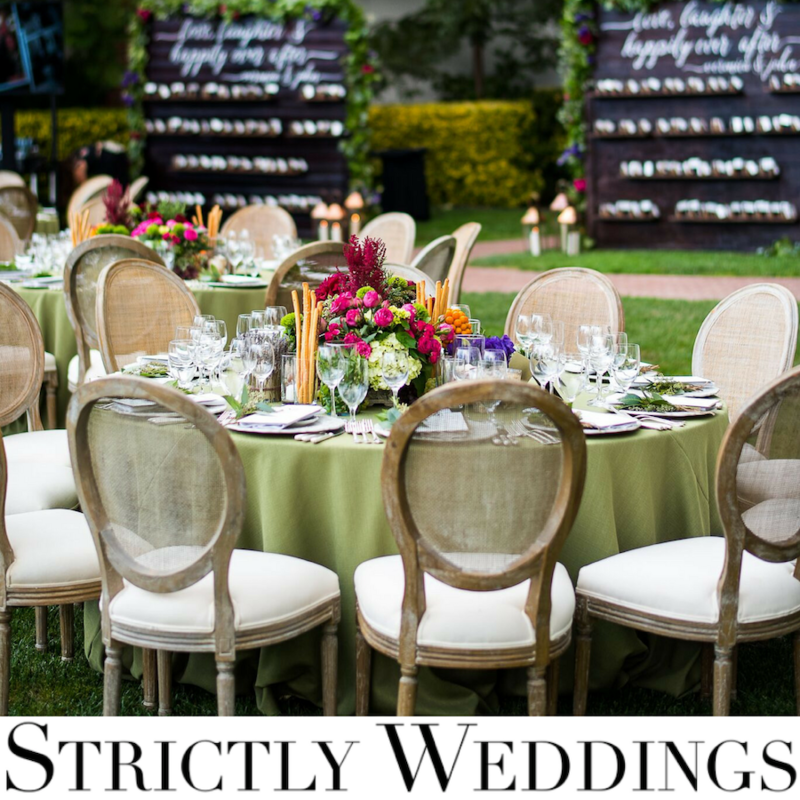 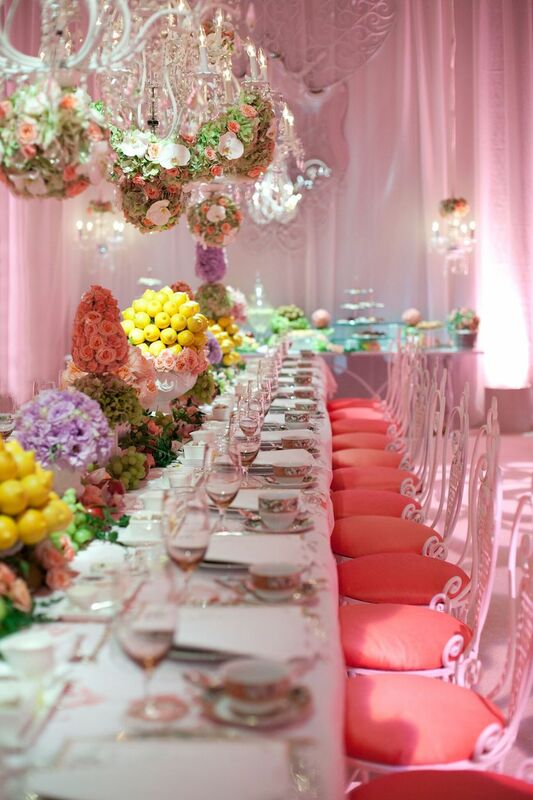 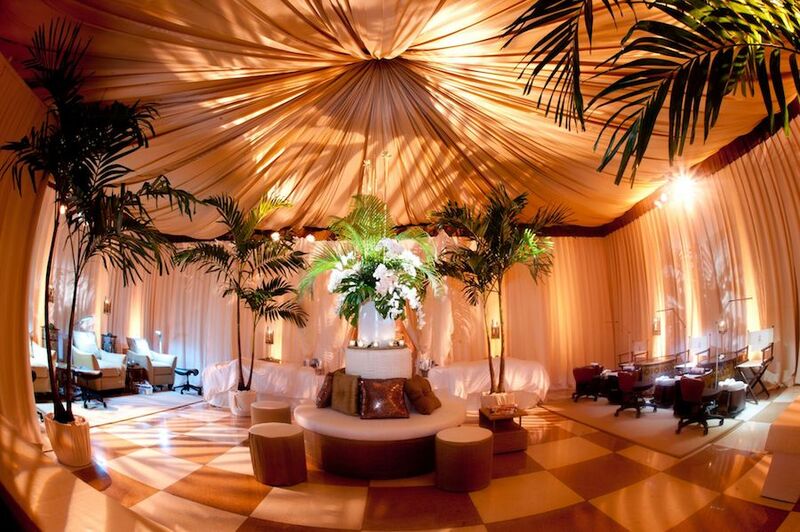 Round tables were draped in apricot linen with feminine floral organza overlays. 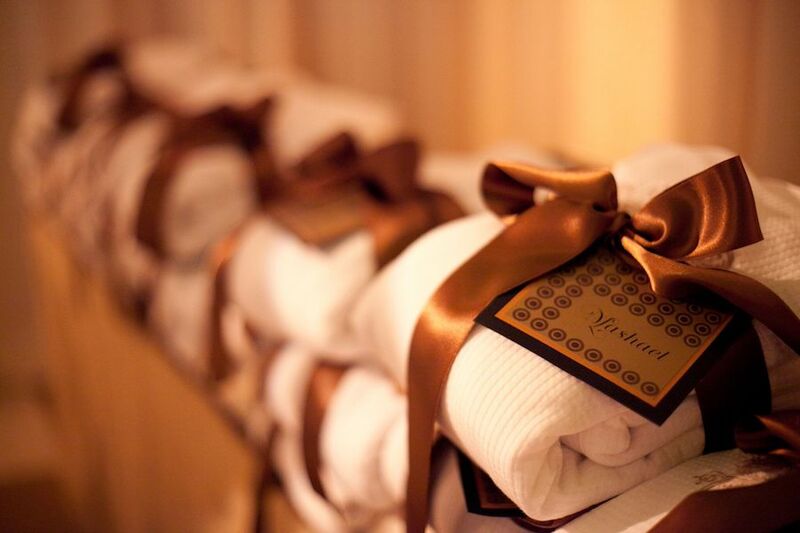 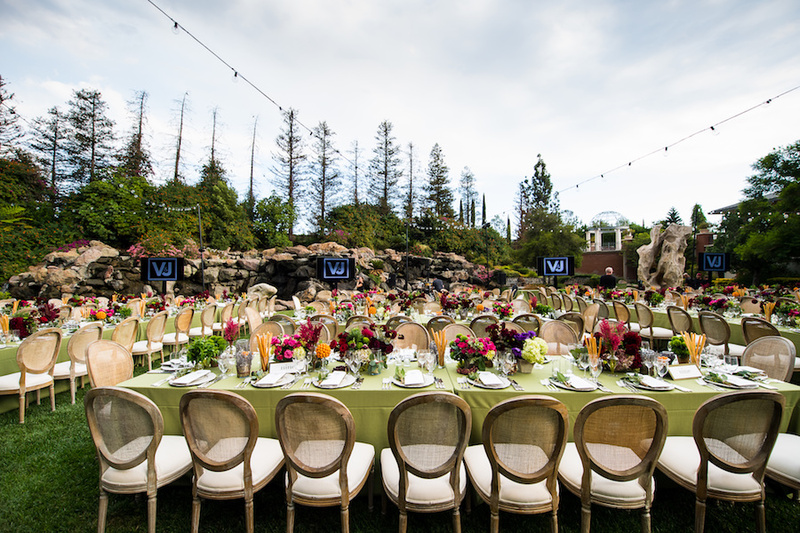 Each place setting featured a custom designed menu and napkin rings, which displayed our La La Land inspired logo. 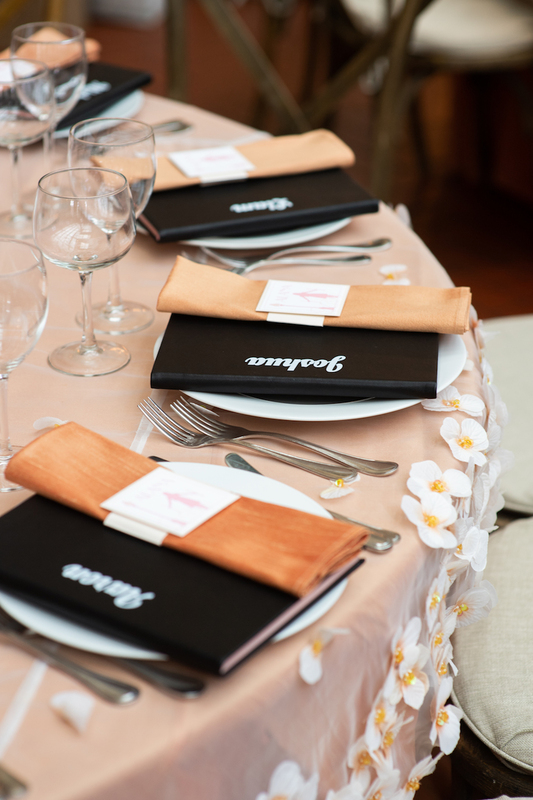 Each guest also received customized journals from Pop & Suki, black for men, blush for ladies, with their names applied as place holders. 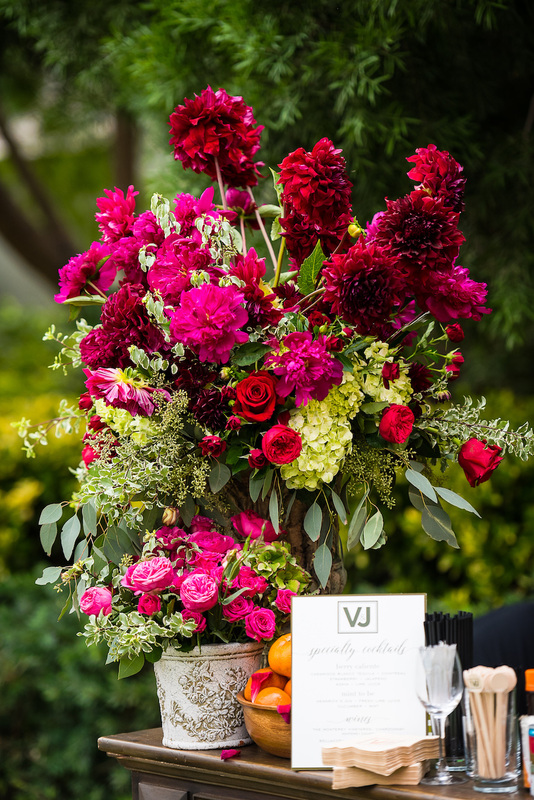 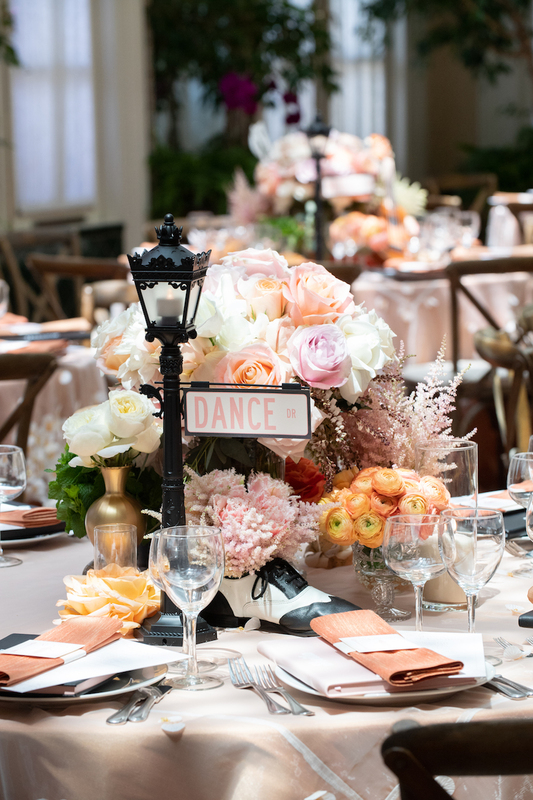 The centerpieces were beautiful blooms of cream, blush, pale tangerine with lush greens. 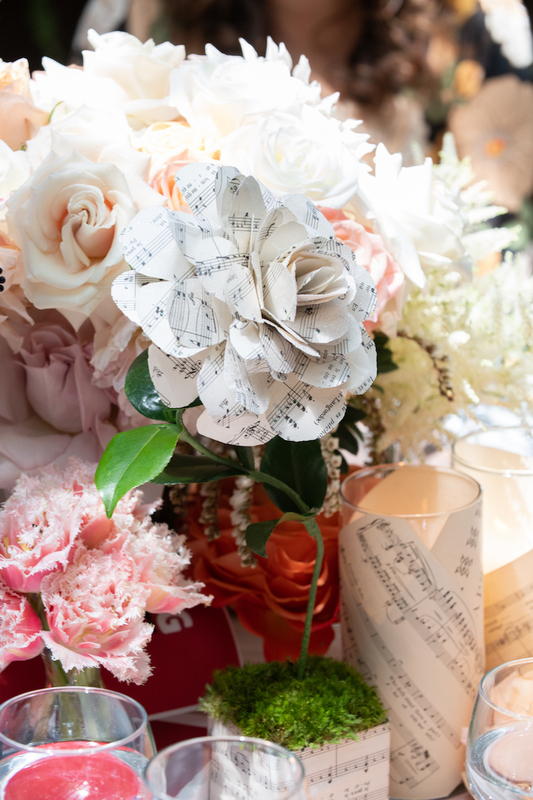 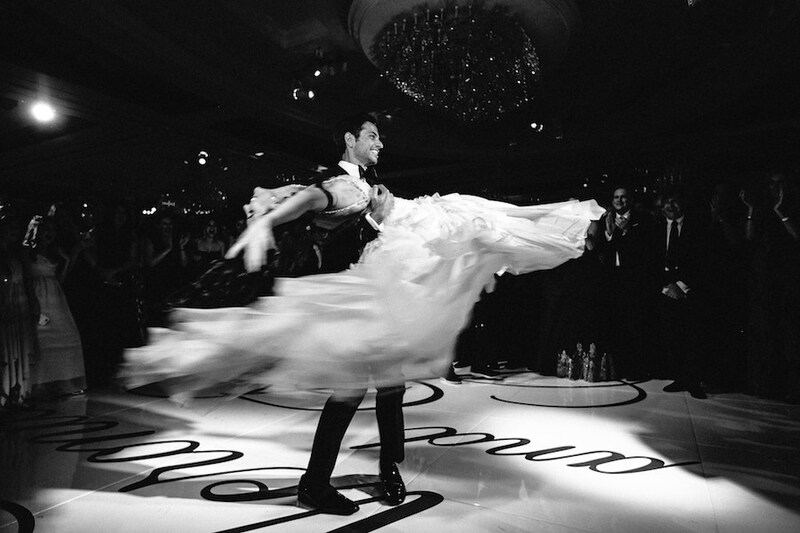 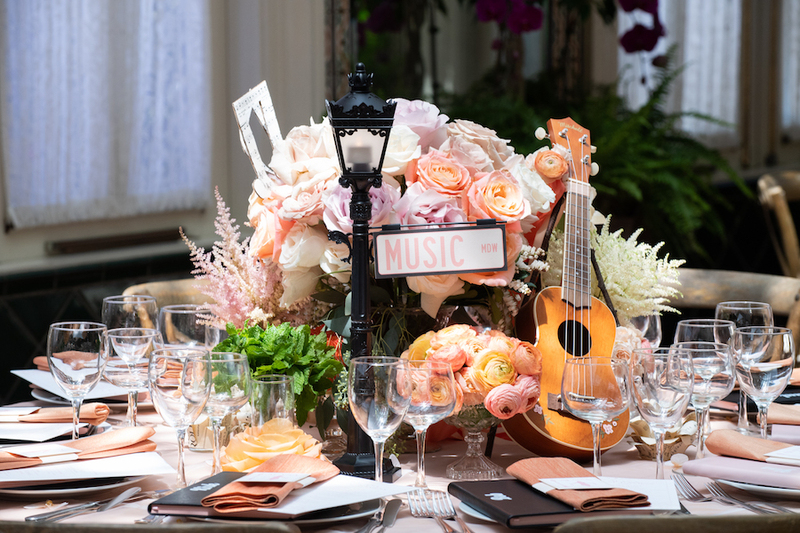 Representing our bat mitzvah girl’s love of dance, music, theater and more, each table held elements from that particular theme and how it related to Alana. 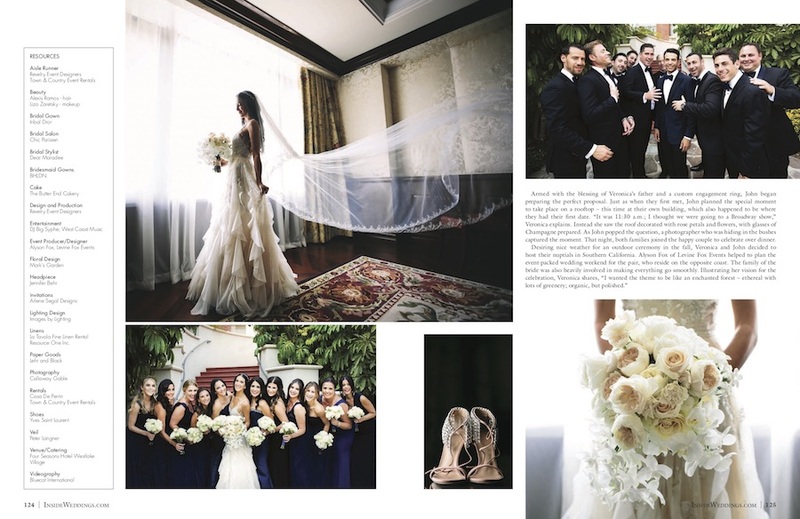 We loved collaborating with Alana and her family on this unique idea! 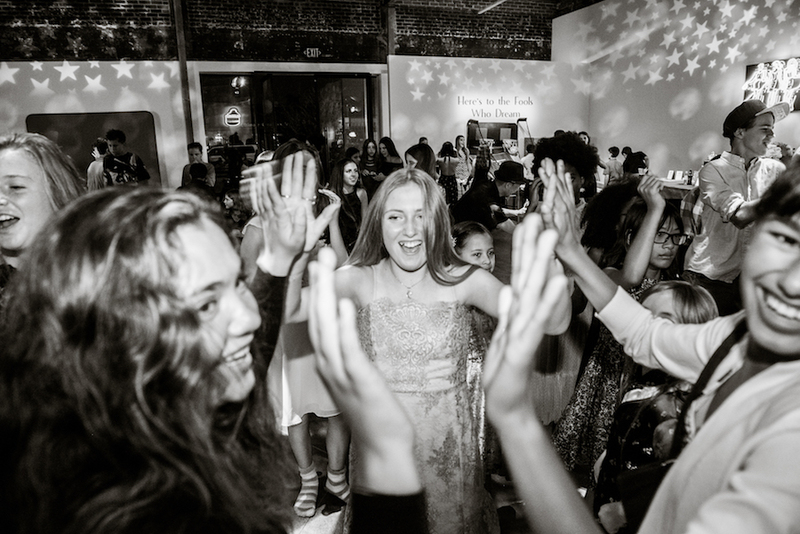 The next evening, Alana’s friends, along with her nearest and dearest family, were invited to There-There Gallery to celebrate and dance the night away. 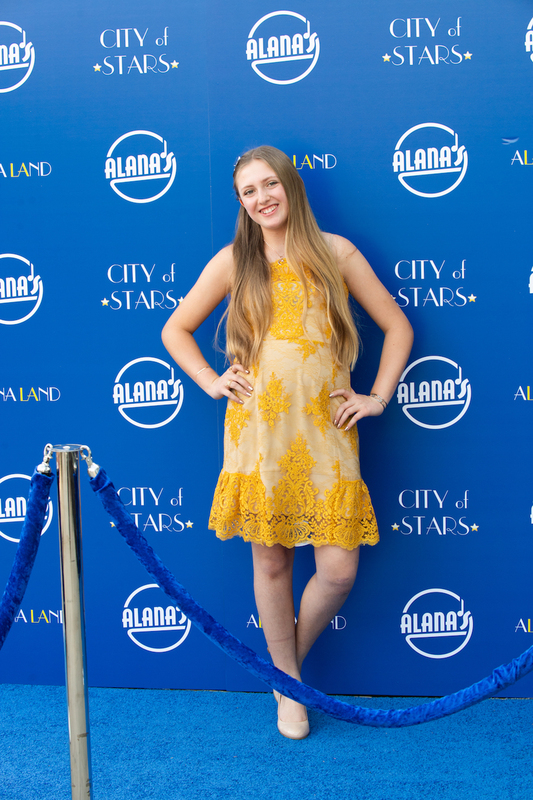 As guests stepped out of their cars, they were invited to walk the “blue carpet” and take photos in front of our very own “Alana-land” step and repeat. 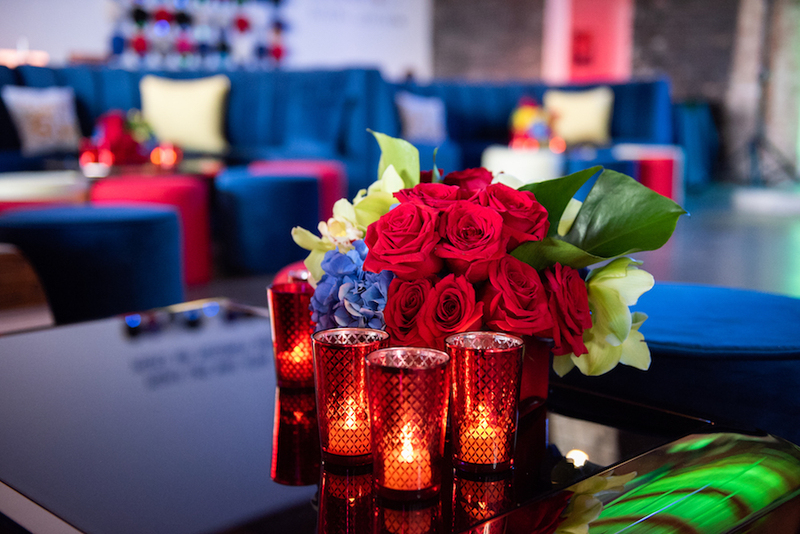 As guests entered the party they were surrounded by fabulous lighting and greeted with bold wall decor. 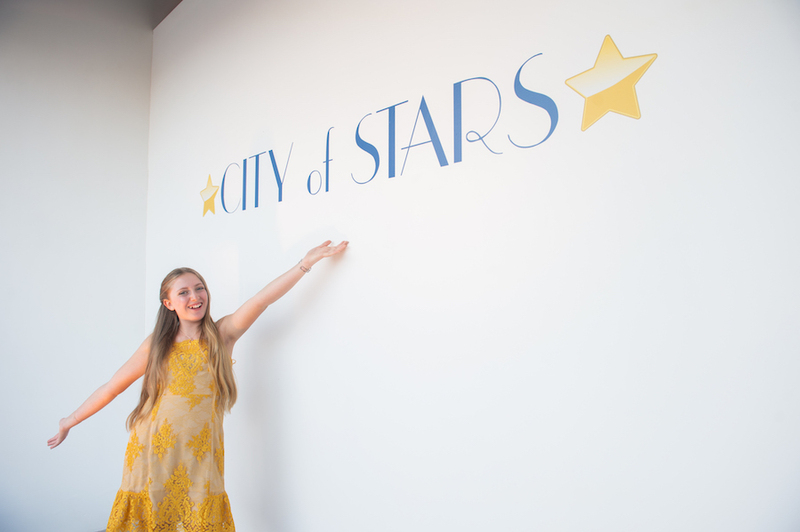 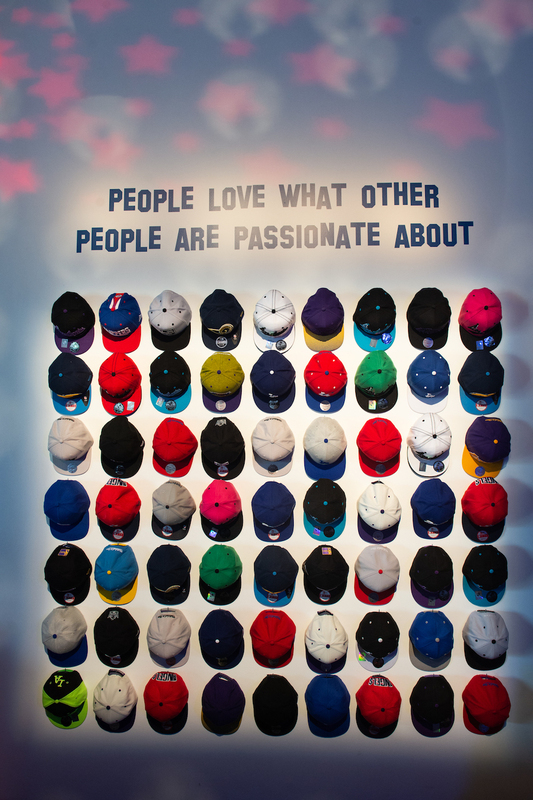 The phrases, “City of Stars” and other quotes from the movie such as “People love what other people are passionate about,” were strategically placed around the room. 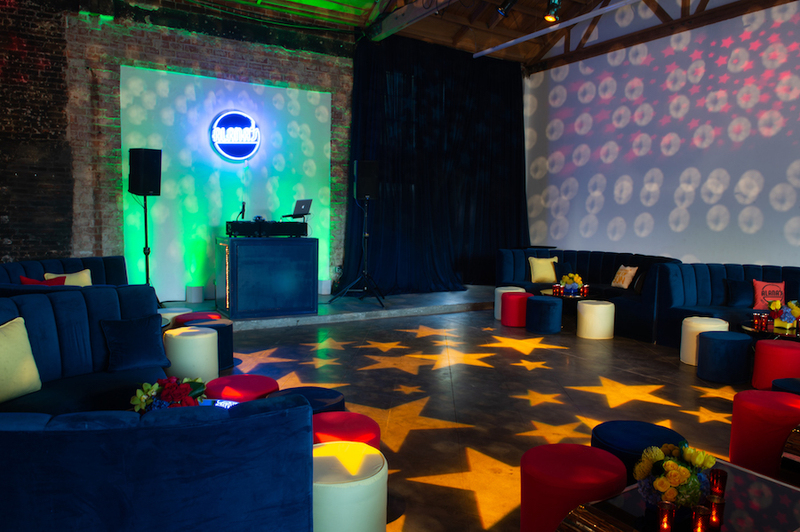 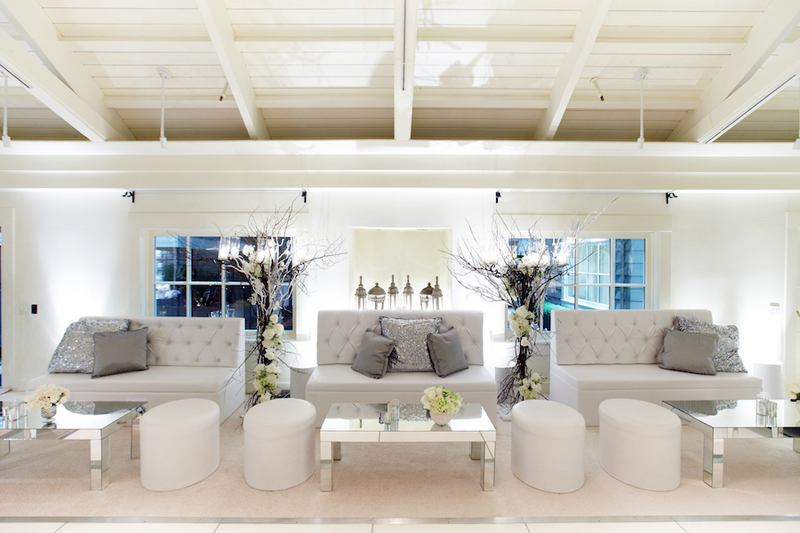 A collection of black mirrored coffee tables and royal blue lounge furniture from Revelry Event Design filled the exterior space and framed the dancefloor. 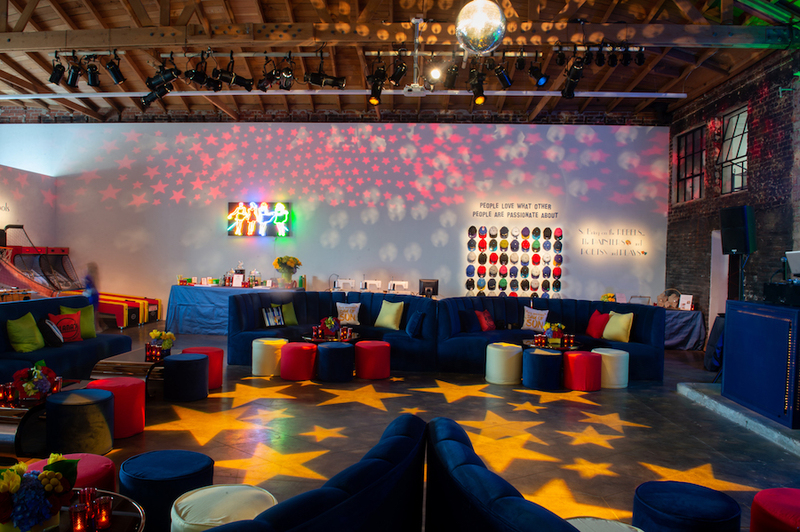 Other details such as custom throw pillows with fun phrases such as “Alana’s Jazz Club” and “Another Day of Sun” were placed throughout the lounge. 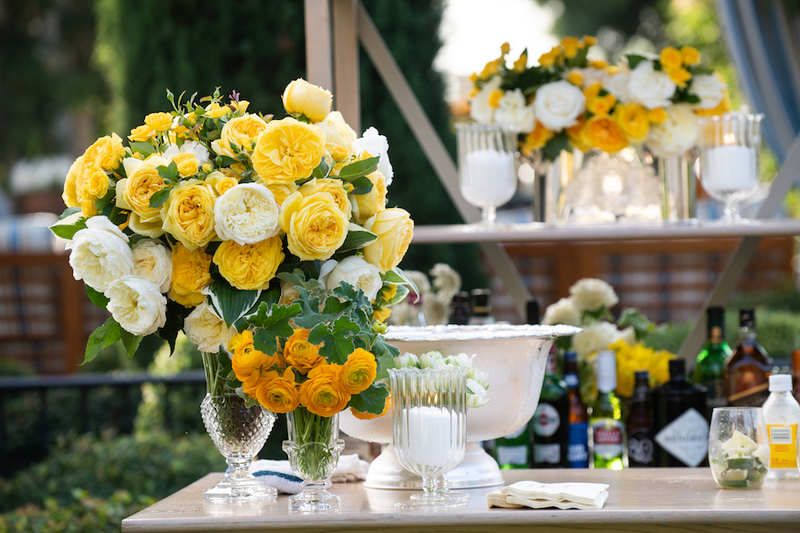 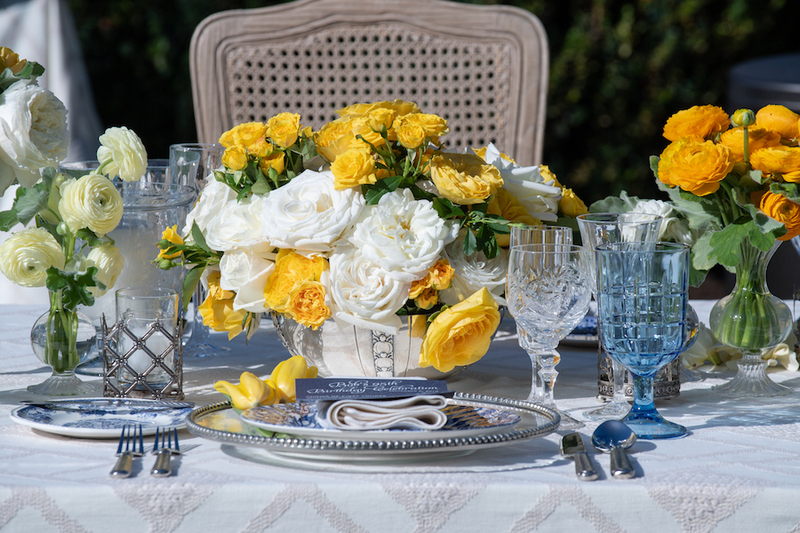 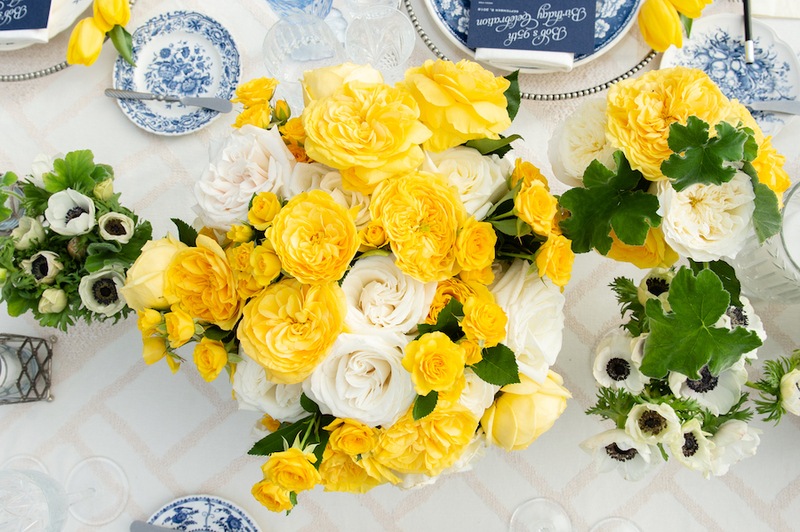 Nancy Kaye of Mark’s Garden provided floral touches of yellow tulips, garden roses, and greenery. 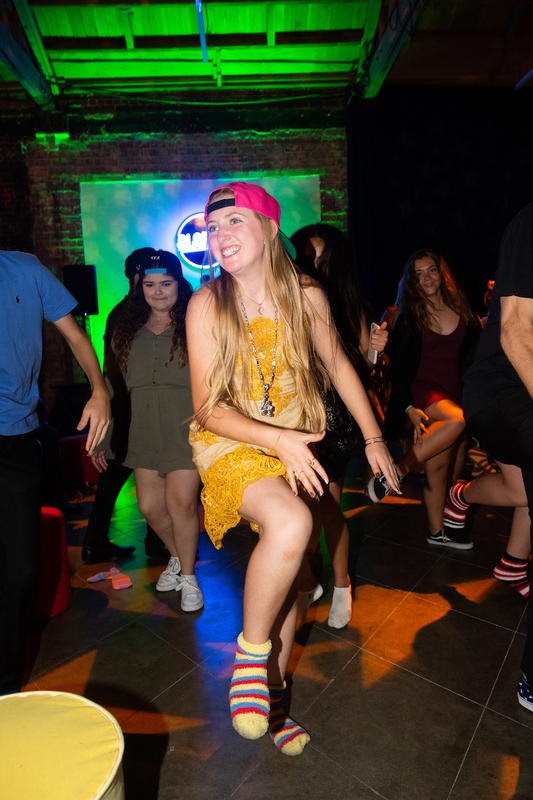 Along with dancing to the latest hot tunes from the DJ on a star gobo dance floor, guests enjoyed a plethora of activities; shooting hoops, foosball, and skeeball, custom designed jewelry, sports hats customized with each guests’ name, more custom & fabulous items from Pop & Suki as well as a fun & unique photo op. 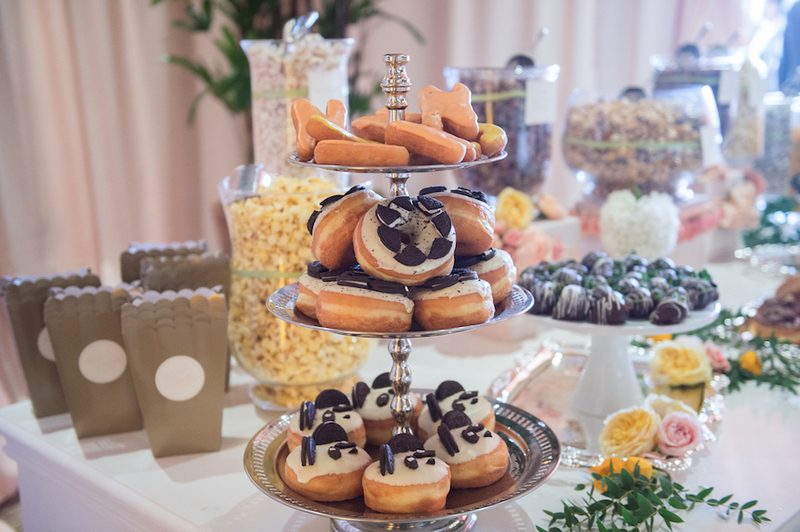 Guests were also treated to an old fashioned soda bar, delicious hors d’oeuvres and buffet dinner from The Kitchen for Exploring Foods. 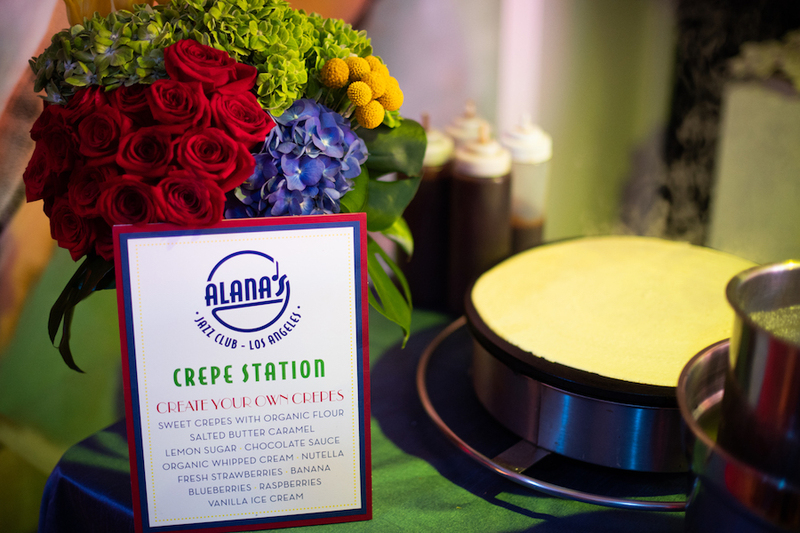 For dessert, guests enjoyed many treats including hot churros with chocolate dipping sauce and a sweet crêpe station! 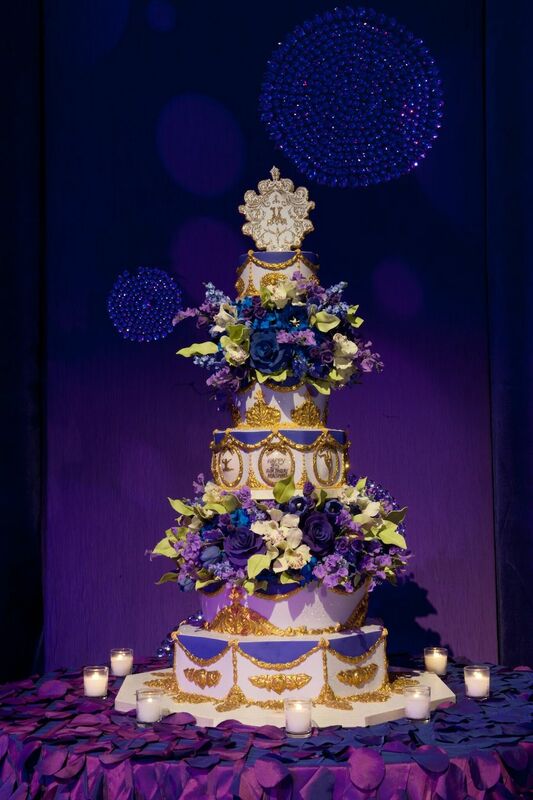 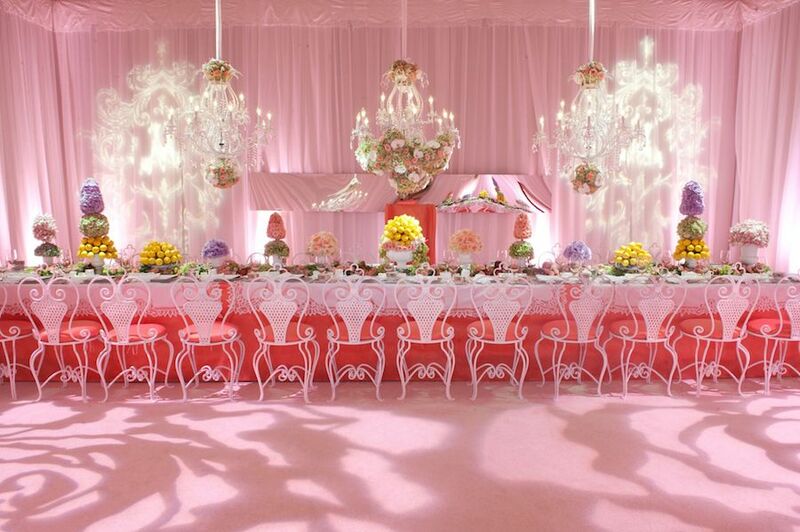 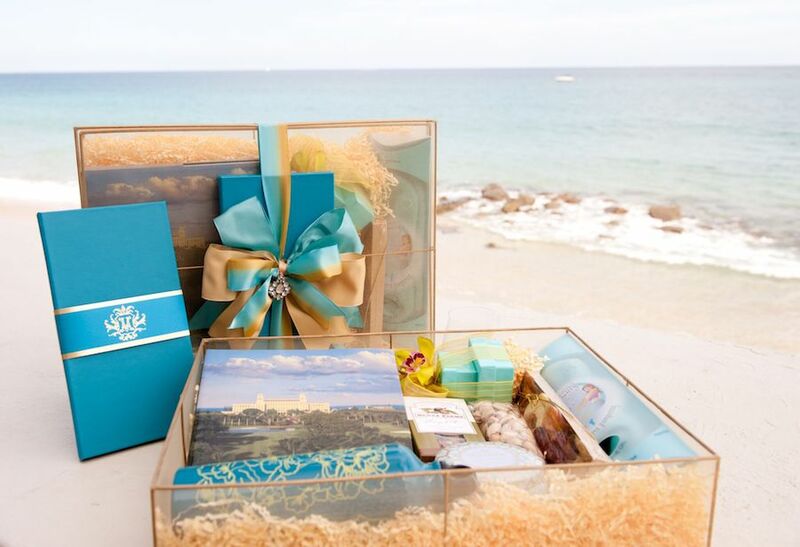 We loved planning and designing these monumental events for the birthday girl and her closest family and friends! 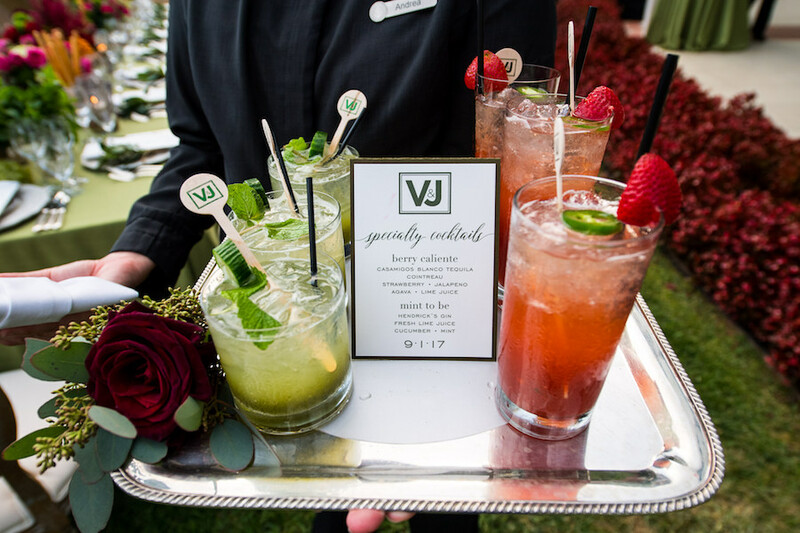 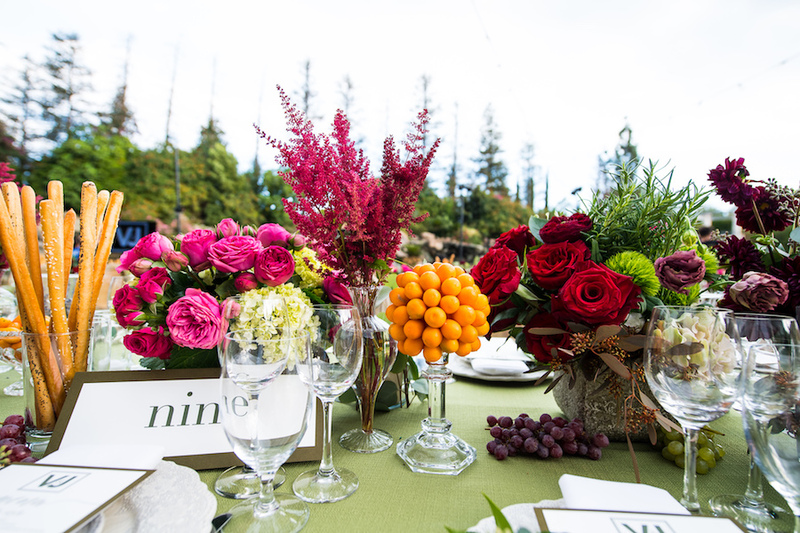 We could not have brought this celebration to life without our amazing team of vendors! 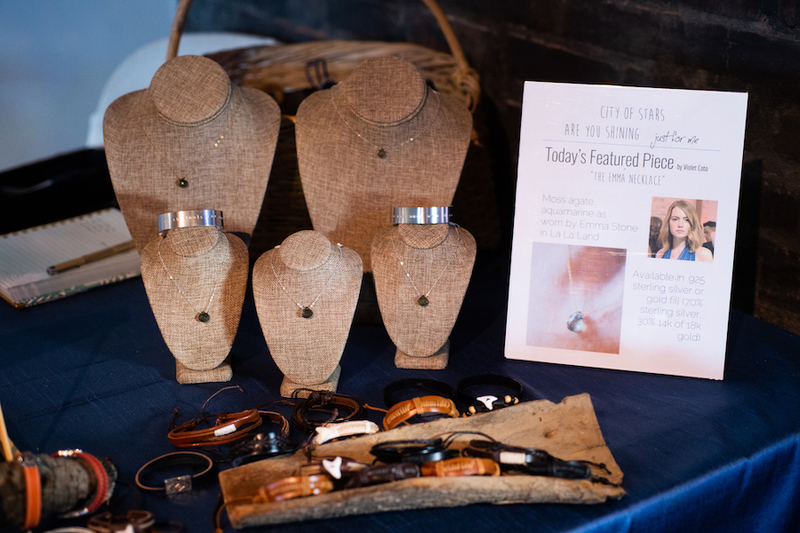 Special thank you to Elizabeth Solano for capturing the day! 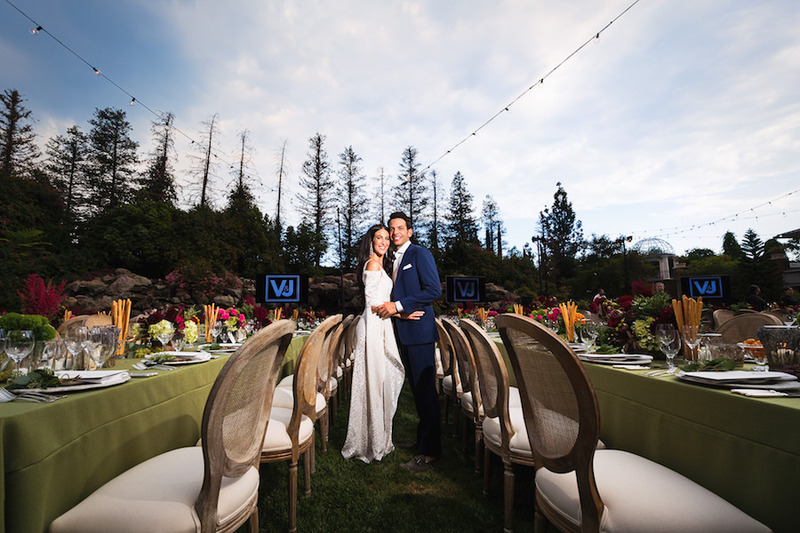 With summer being the norm, it was thrilling to plan and design Jessica and Bill’s winter Napa wedding! 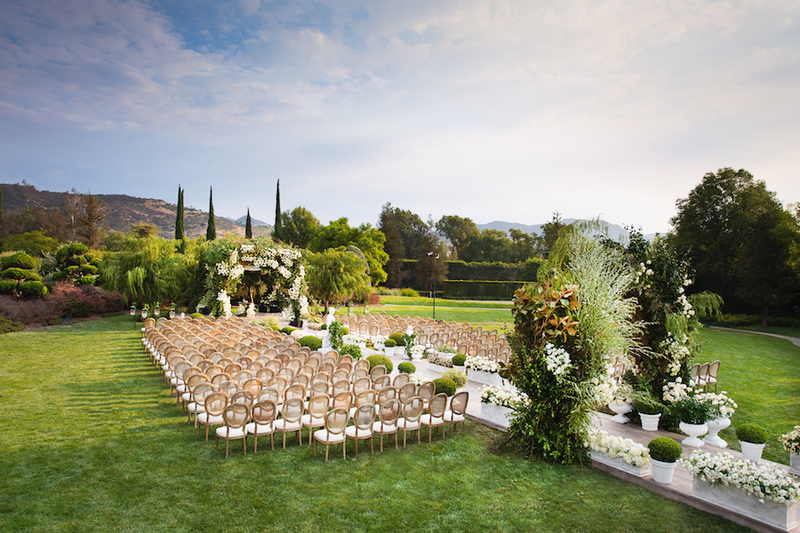 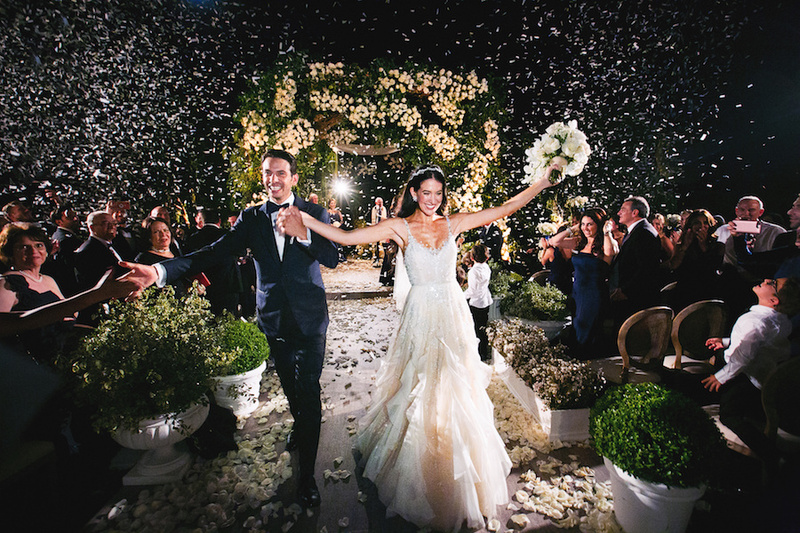 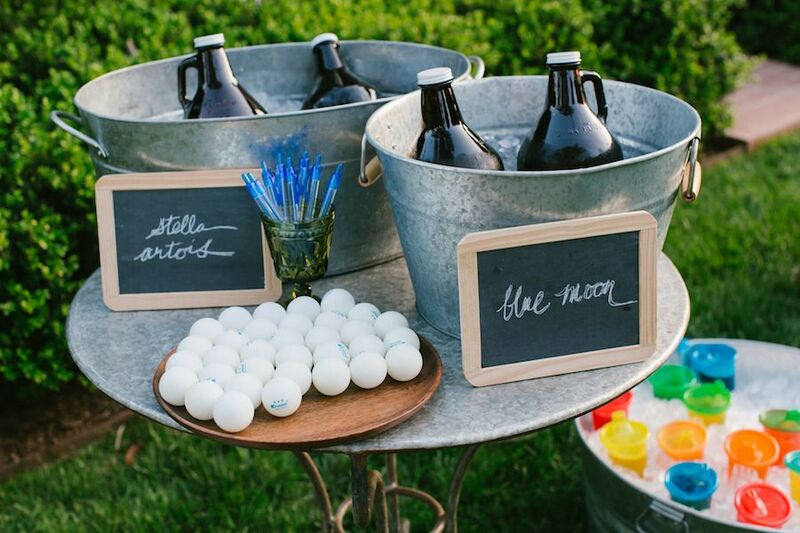 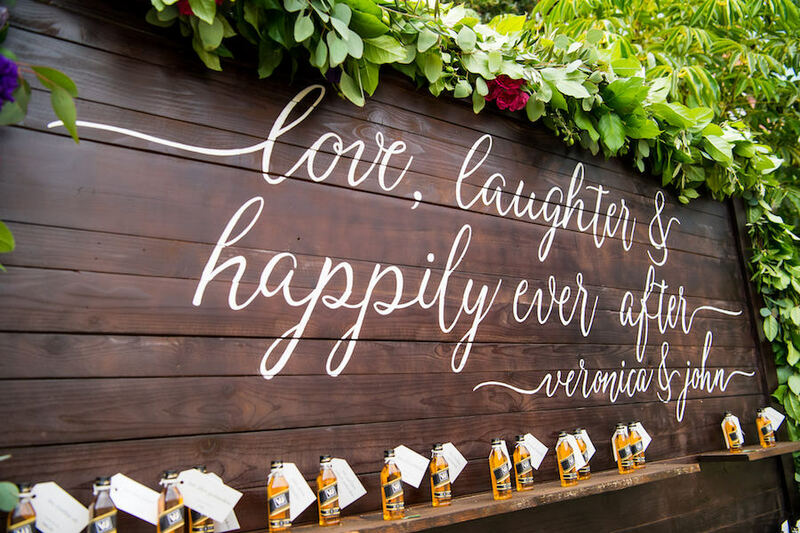 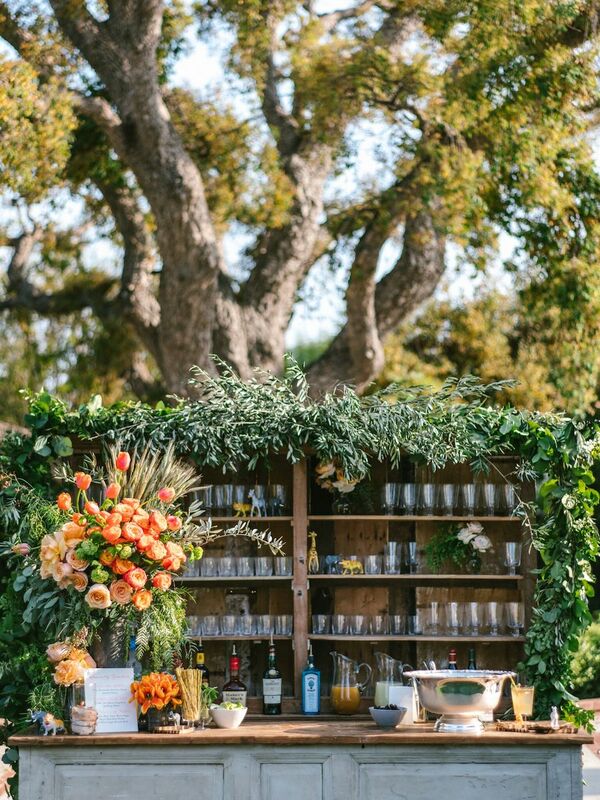 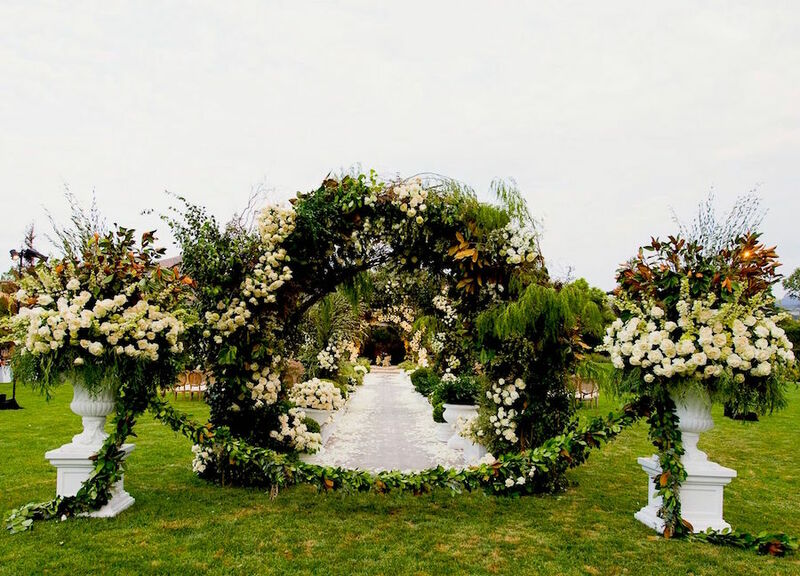 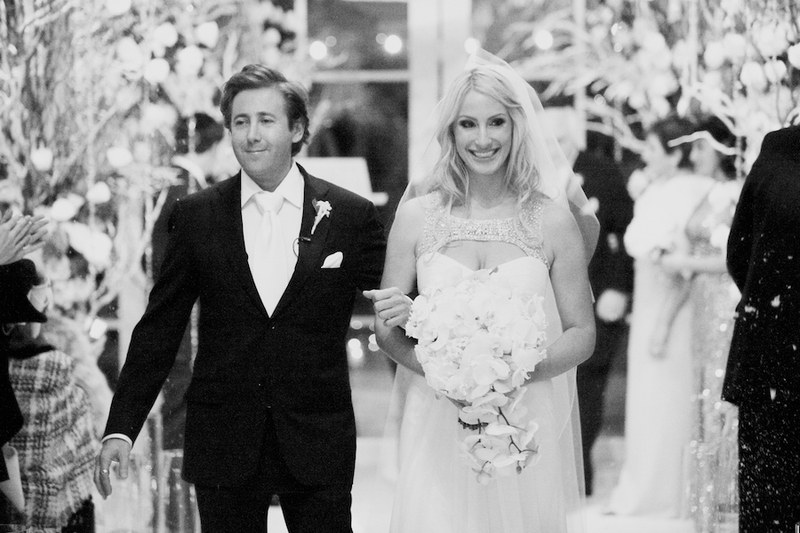 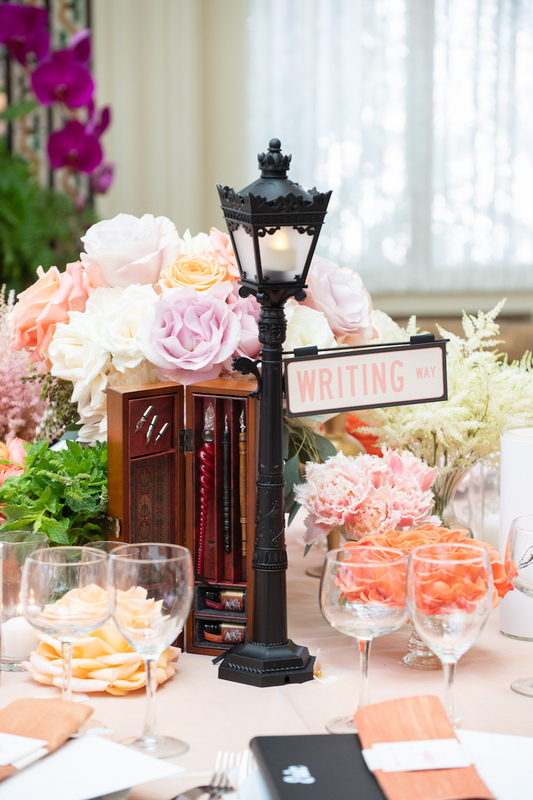 Keep reading, you may be inspired to rethink your summer wedding. 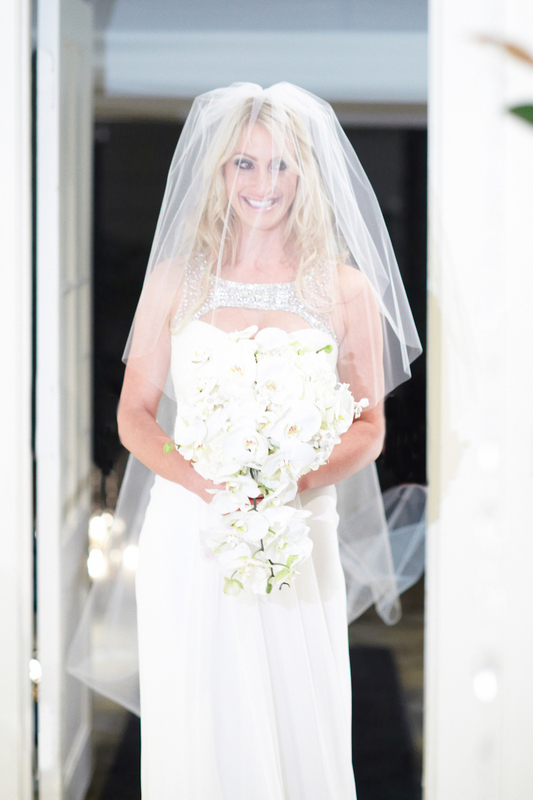 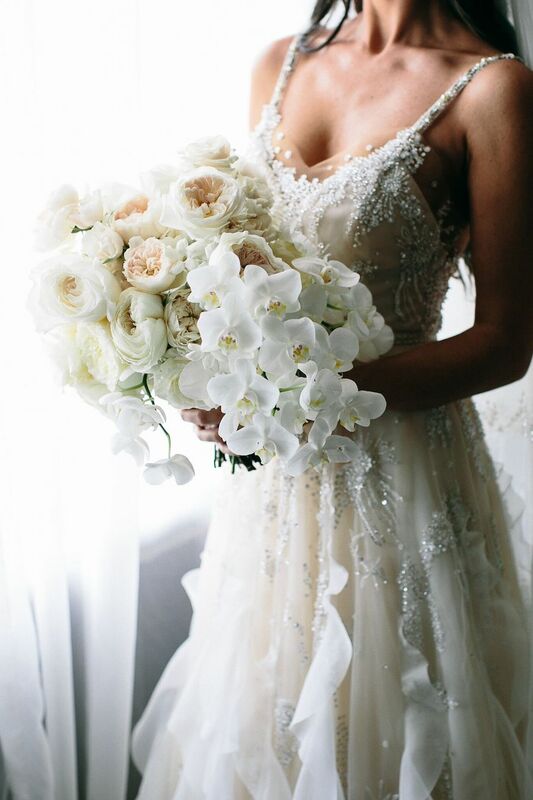 The stems of Jessica’s bouquet of roses, orchids, and crystal-dotted stephanotis blossoms were wrapped in white velvet held with a crystal brooch. 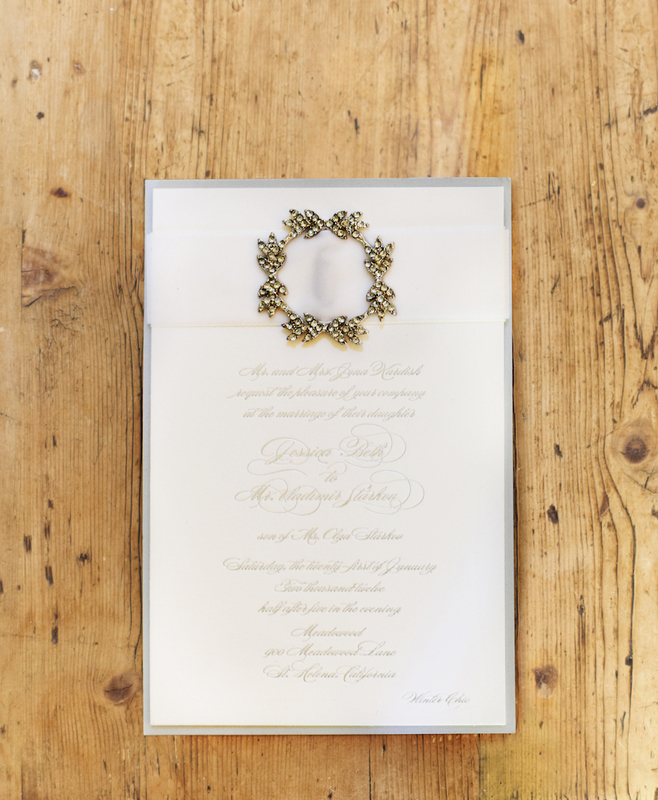 Her maid of honor clutched flowers bound in cool gray velvet. 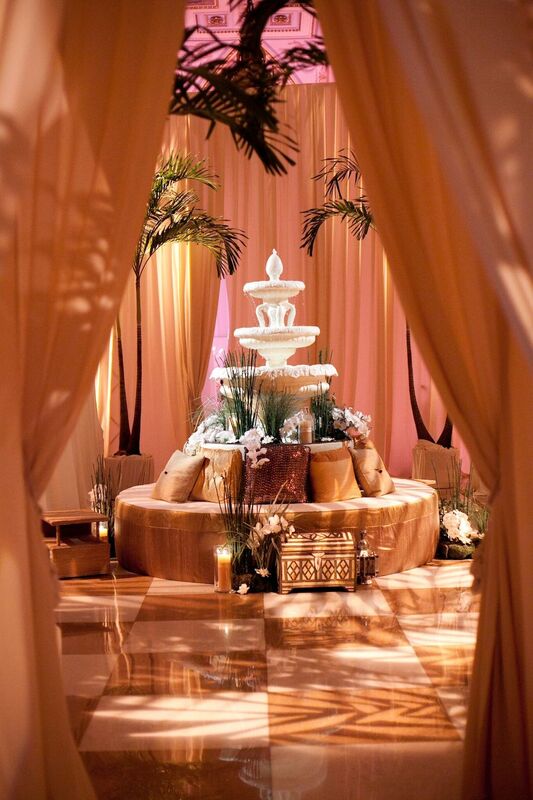 The Jewish ceremony was performed by a close family friend. 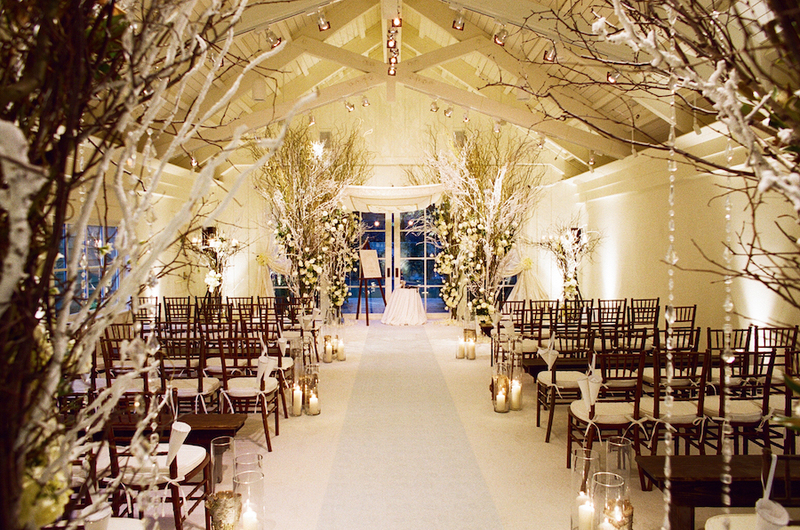 After Bill and Jessica were pronounced and receded down the aisle, guests showered the couple with cones full of “snowflakes” that had been hung on every chair. 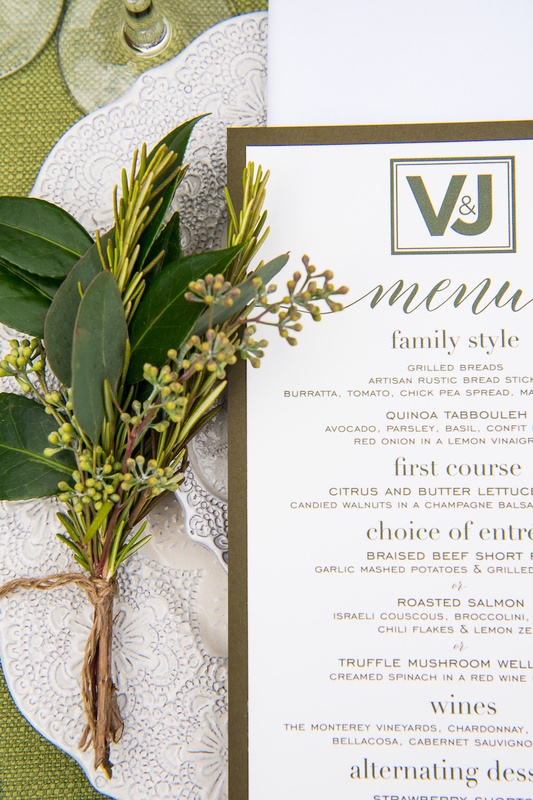 Jewish customs and family were honored throughout the reception as Jessica’s brother in law blessed the challah, and Bill’s cousin blessed the wine. 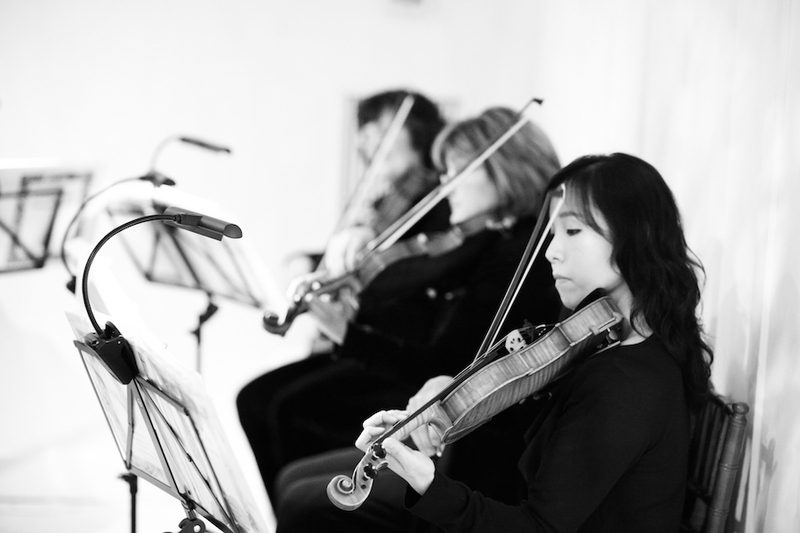 Guests lined up to make loving speeches as a string quartet played renditions of upbeat contemporary songs. 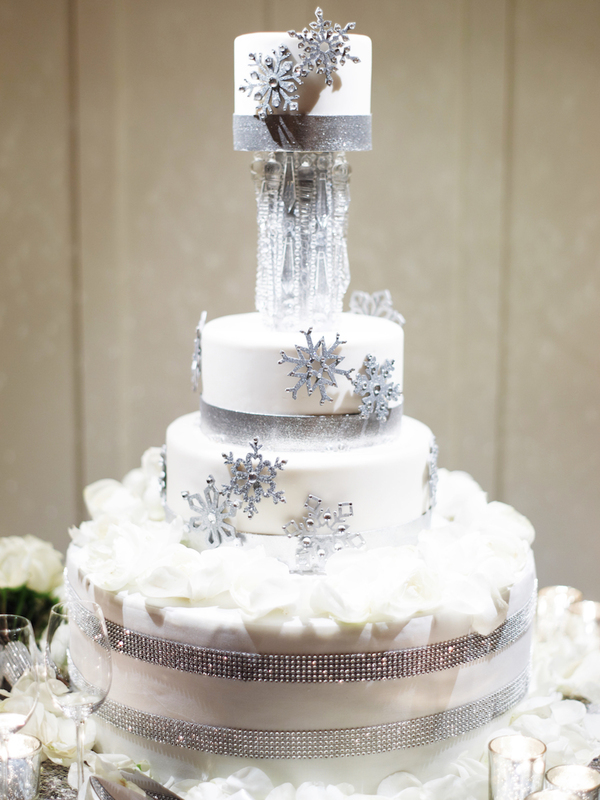 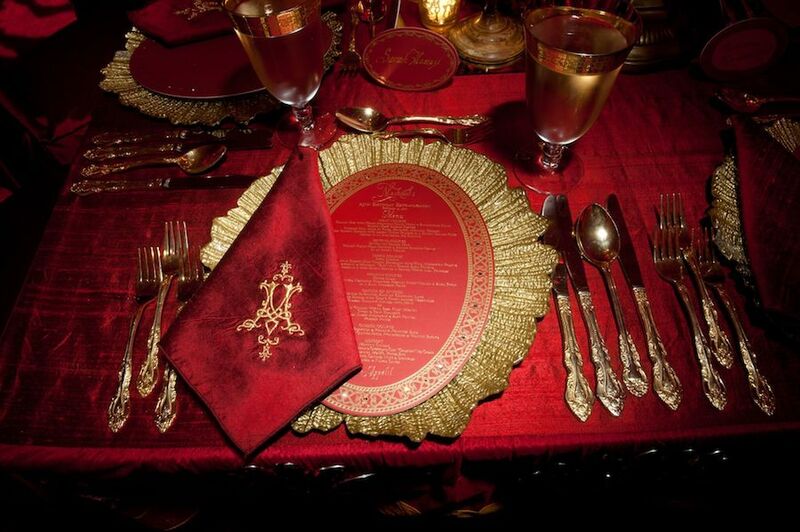 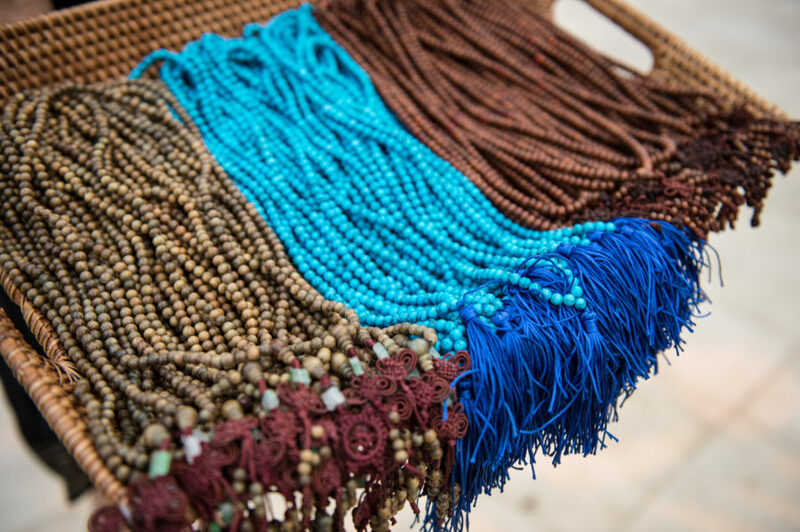 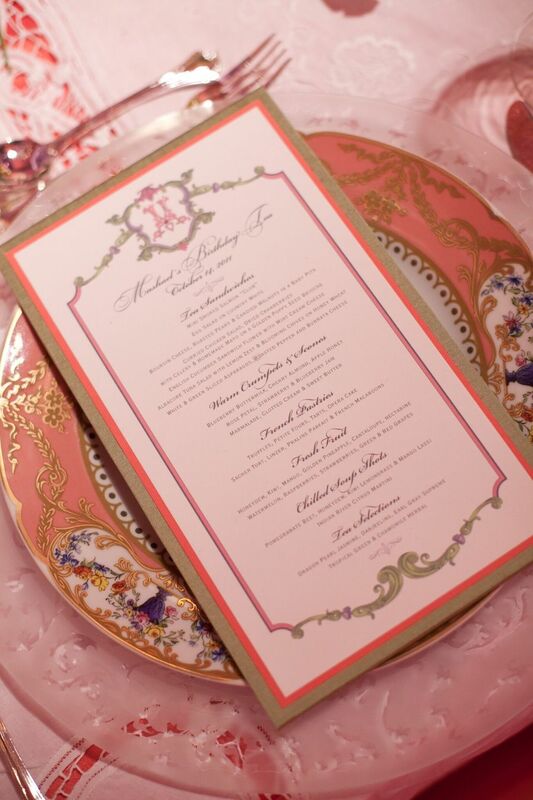 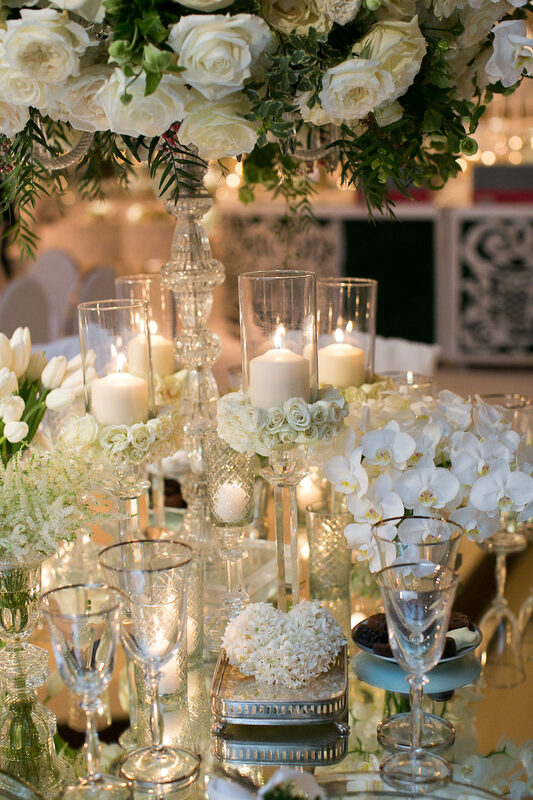 Get all the glittering details HERE. 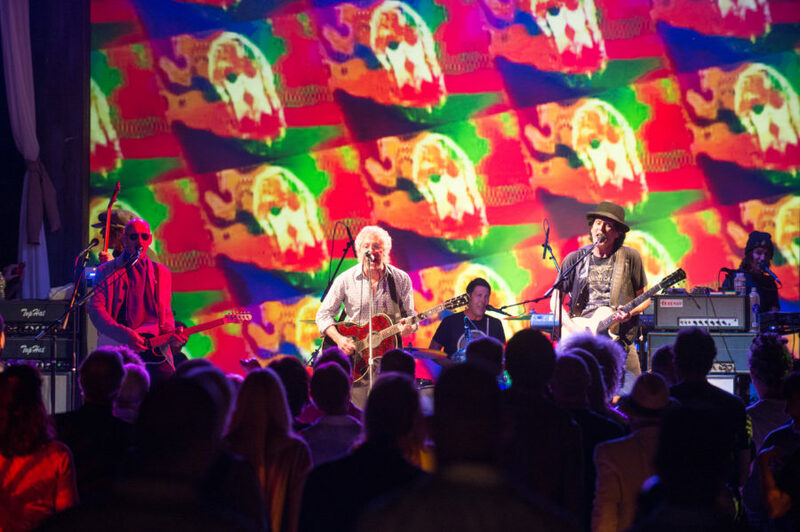 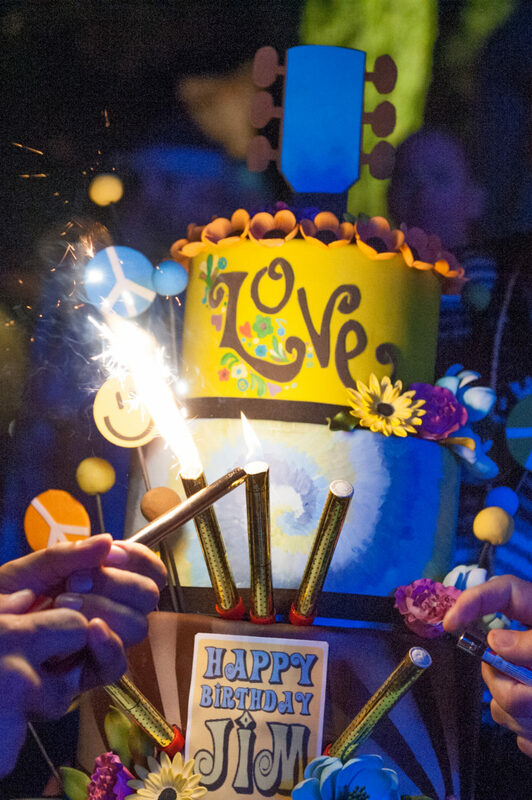 We are thrilled to revisit this “groovy” 70’s birthday celebration! 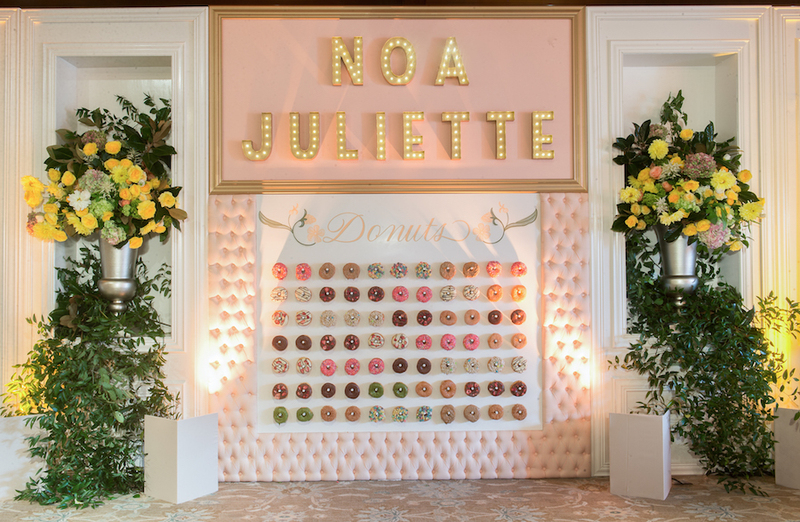 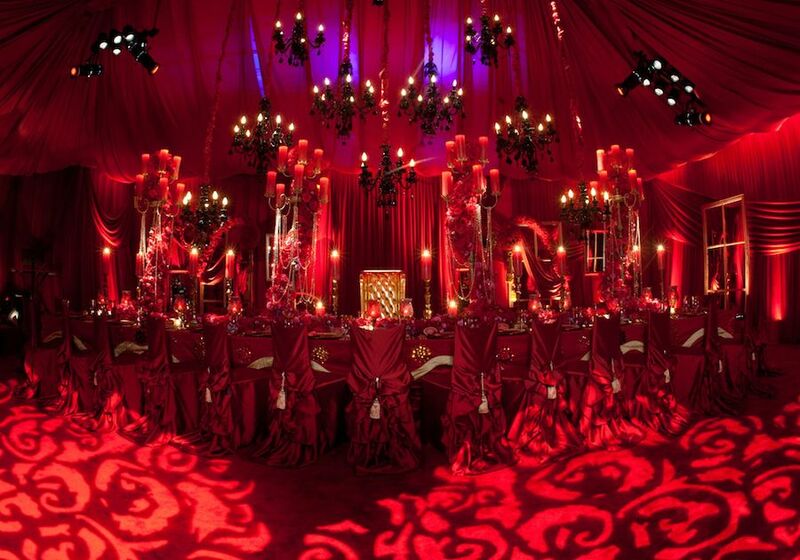 With endless entertainment, five excellent caterers and a far-out design, you will love all the details from this dynamite birthday celebration. 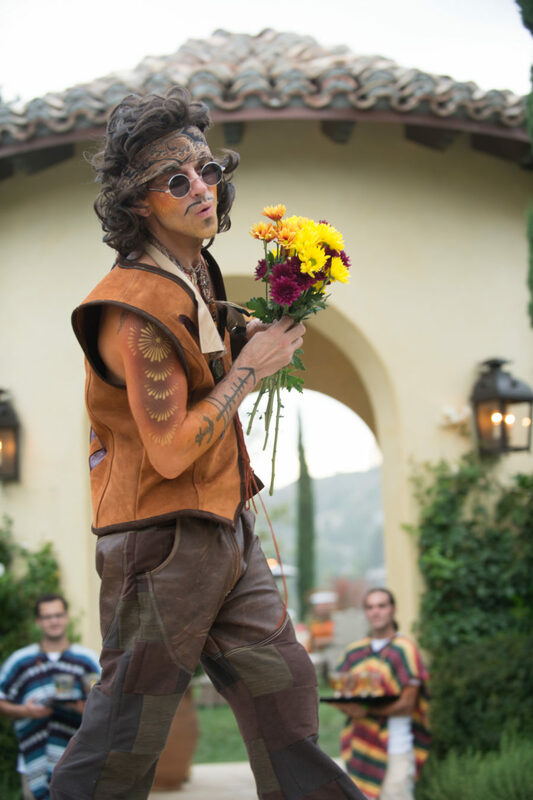 To welcome guests and get them into the “peace and love” mood, our resident “far out” stilt walker greeted them with love-bead necklaces and flowers. 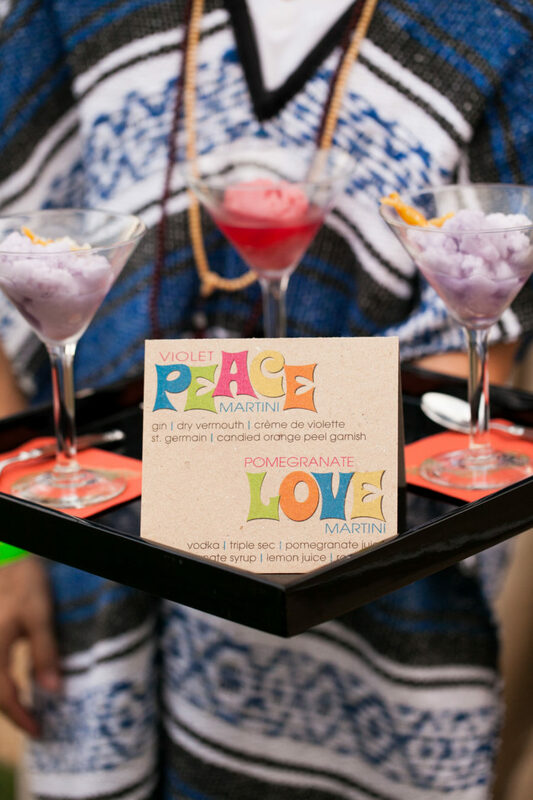 Servers in “hippie” attire offered specialty cocktails titled, violet peace martini and pomegranate love martini. 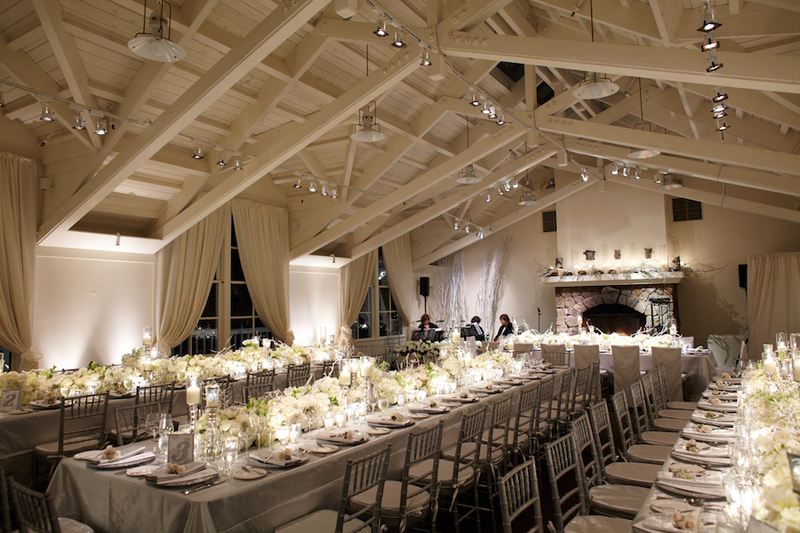 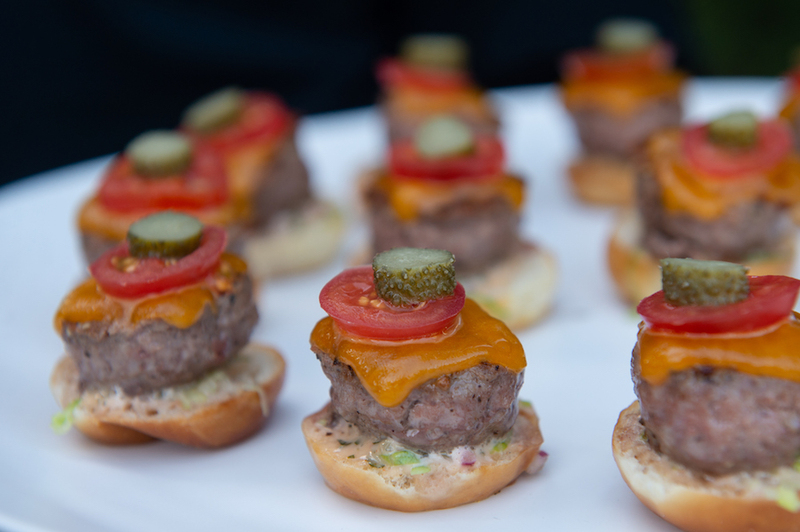 As the night continued, guests were treated to some of the best food in LA. 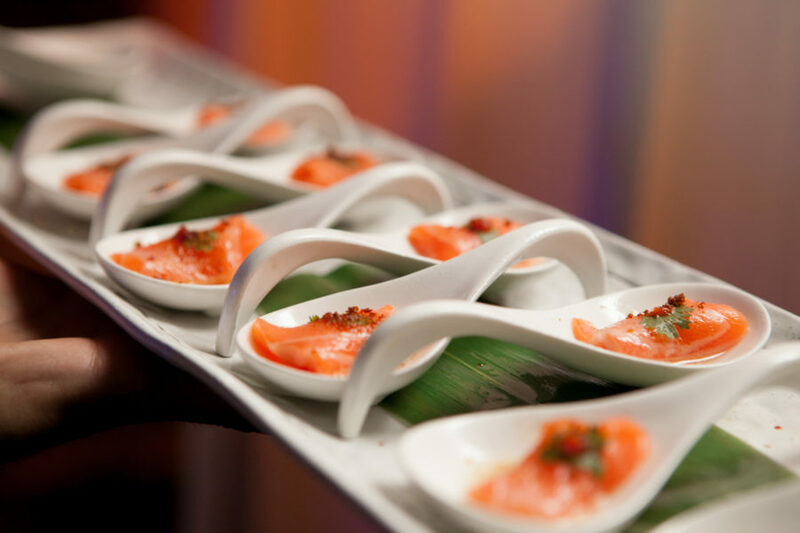 The Kitchen For Exploring Foods served fabulous hors-d’oeuvres and desserts, while our dinner was provided by Nobu, Celestino Drago, Red O and Pink’s Hot Dogs which were set up in food stations around the party. 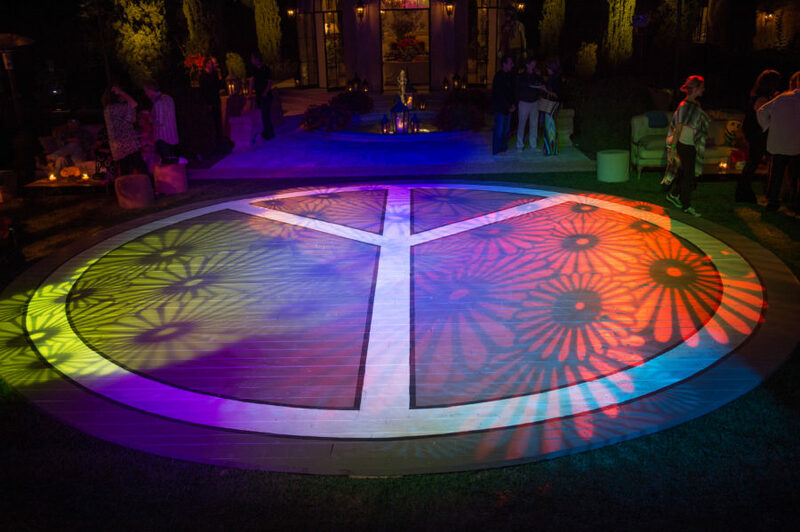 Cozy lounge vignettes from Revelry Event Design surrounded the hand-painted custom peace sign dance floor so guests could lounge as they dined in between the dancing and entertainment As the sun set, the uniquely designed dance floor glowed in colorful lighting with gobos of flowers. 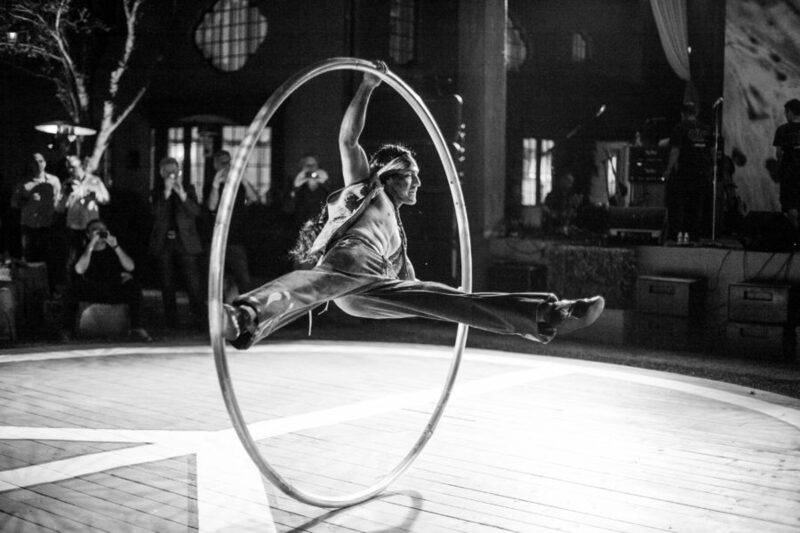 Zen Arts entertainers wow’d guests with lively acrobatic performances, leading up to the special surprise; Roger Daltrey of The Who! 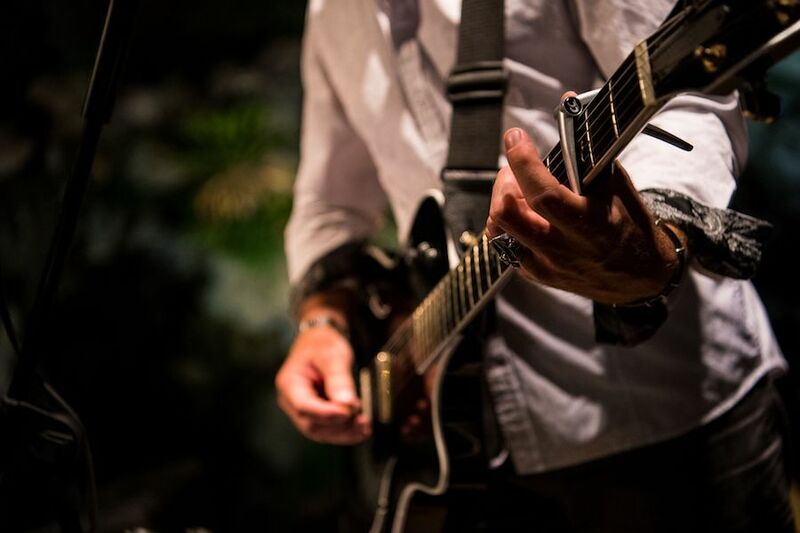 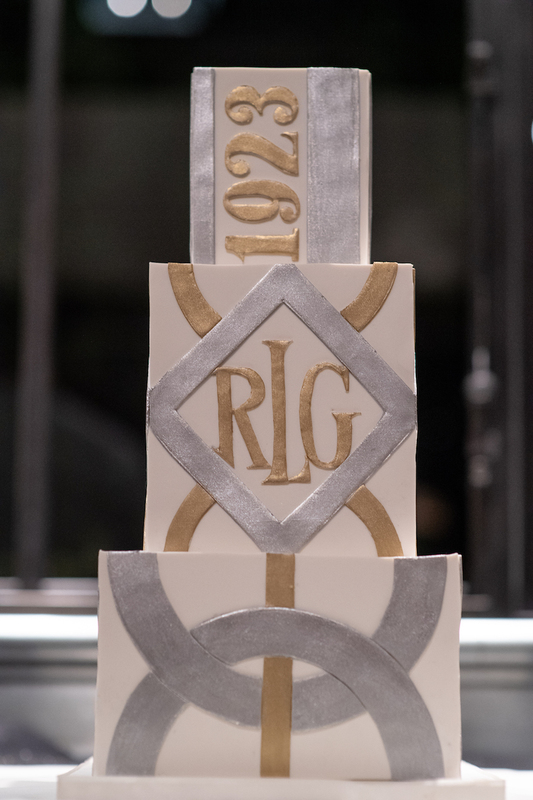 The guest of honor was serenaded by his friends, family and Roger Daltrey as his birthday cake was paraded to him, which led to the “sweetest” part of the evening, dessert! 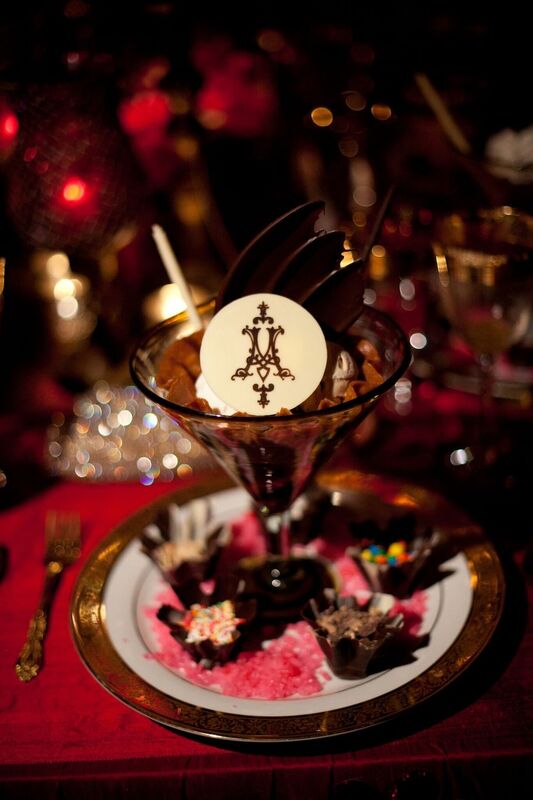 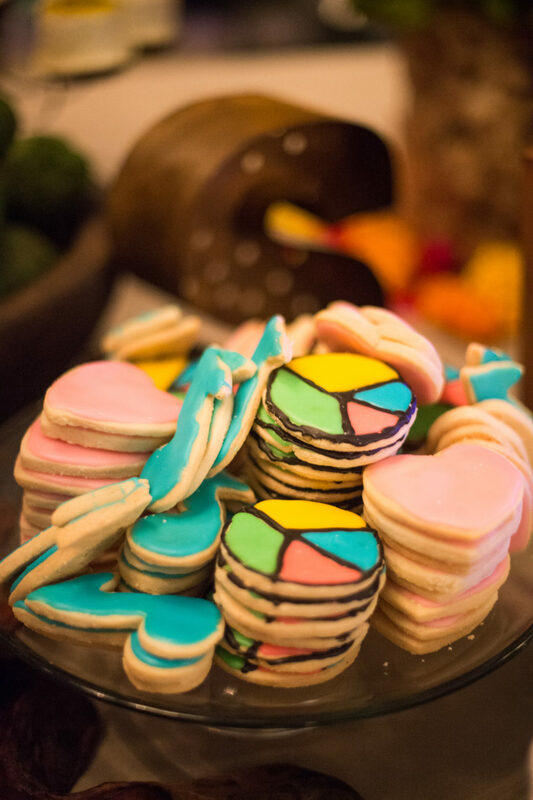 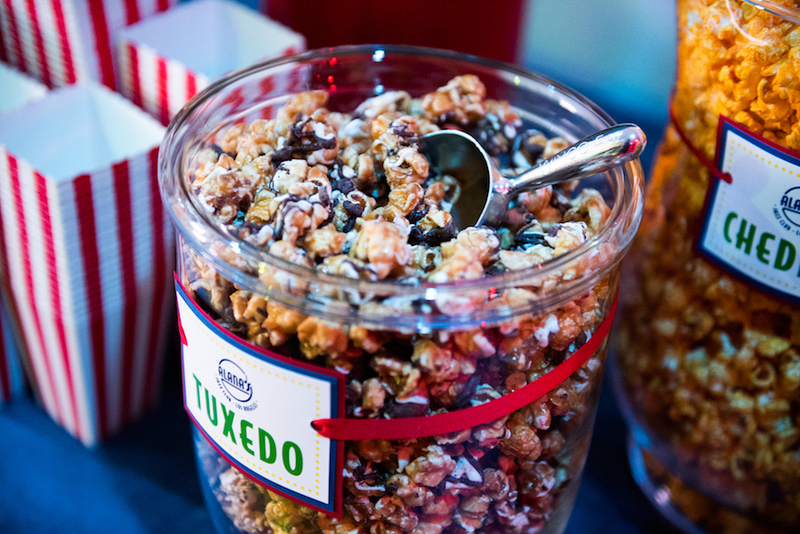 To wrap up the night, thematic goodies of all kinds were displayed on an extravagant dessert station. 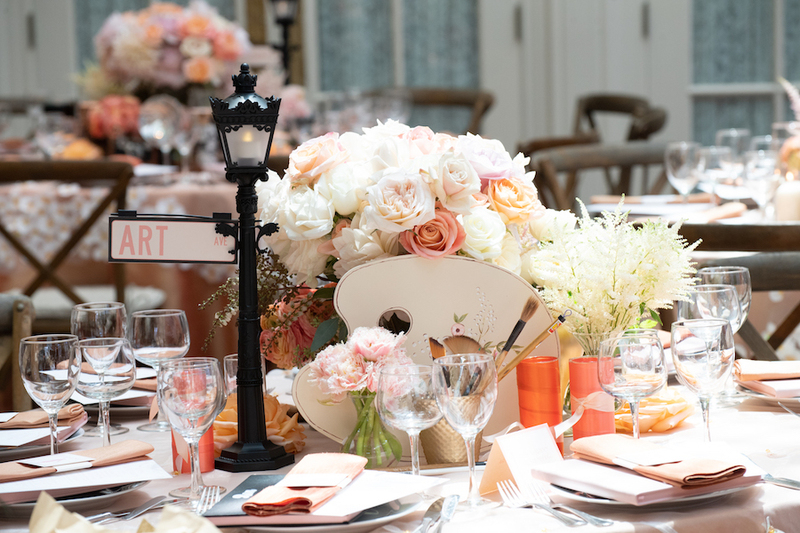 From start to finish, this 70’s themed birthday celebration was a splash! 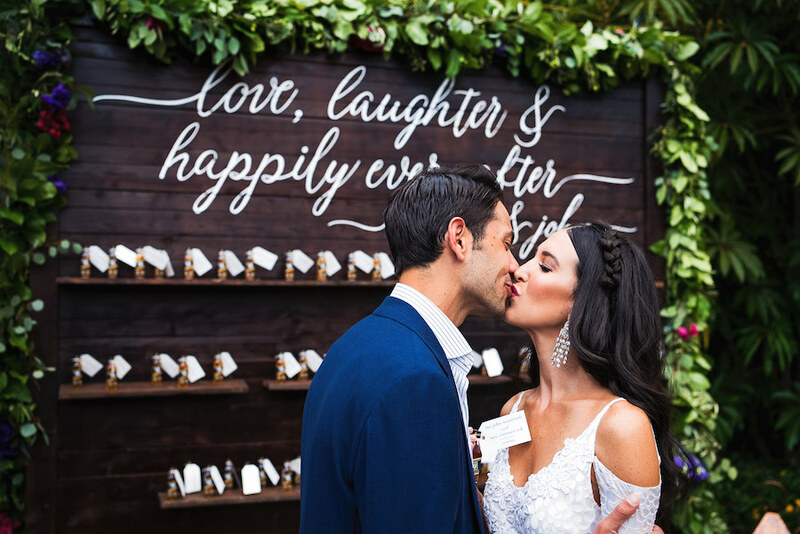 Thank you to the entire team for making this day a success and special thank you to Elizabeth Solano for capturing the awesome elements of the day! 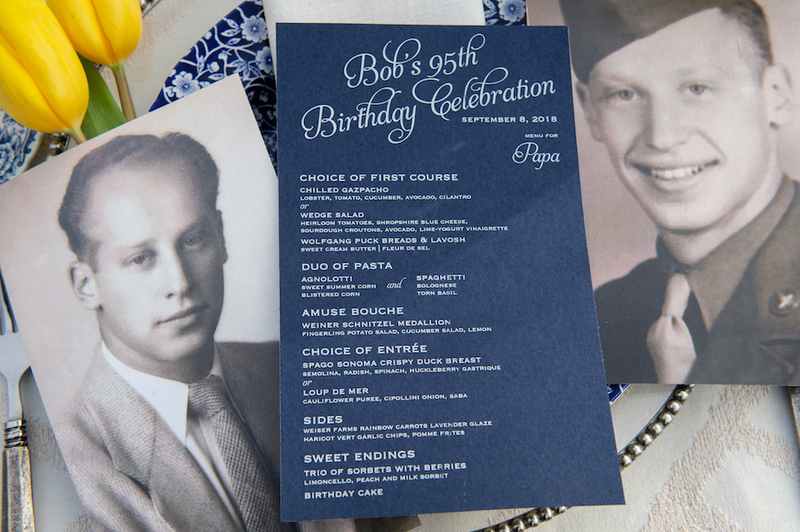 We are so excited to share the details from this monumental 95th birthday celebration. 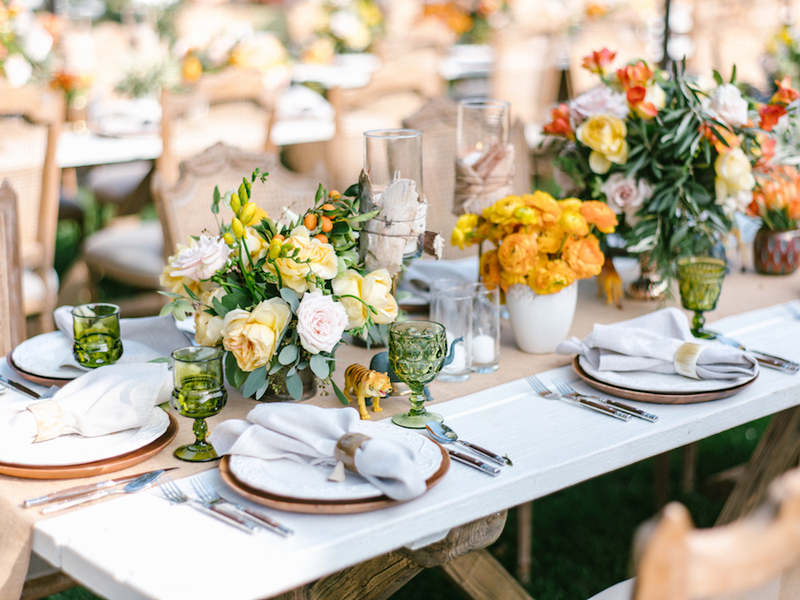 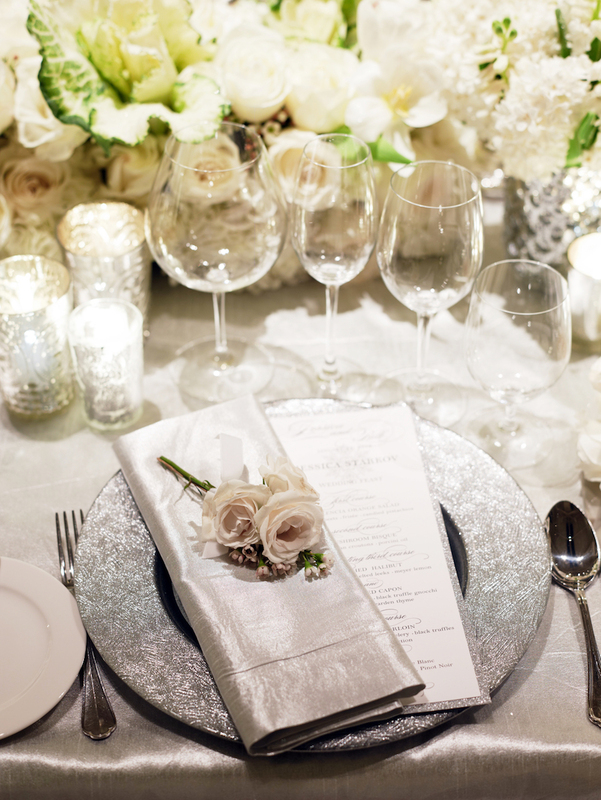 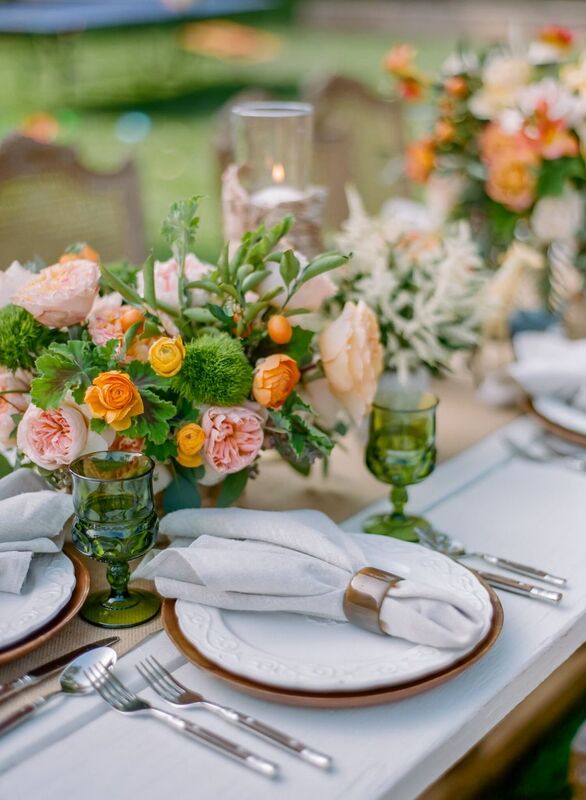 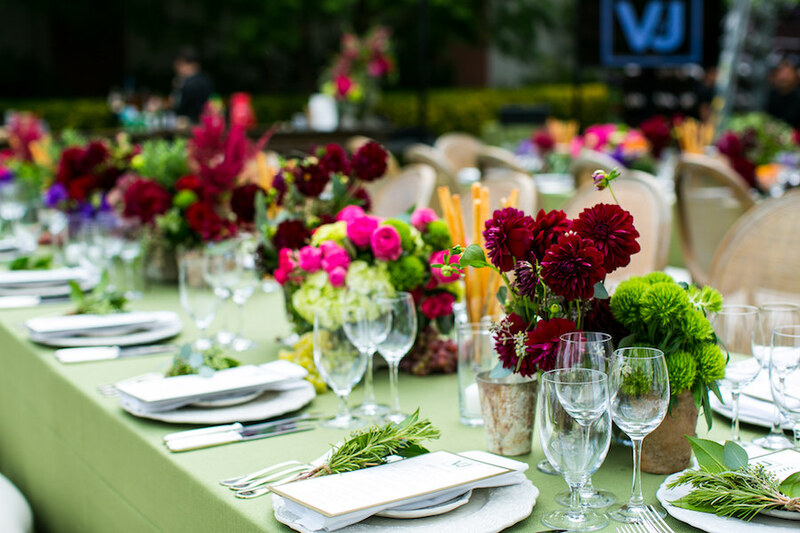 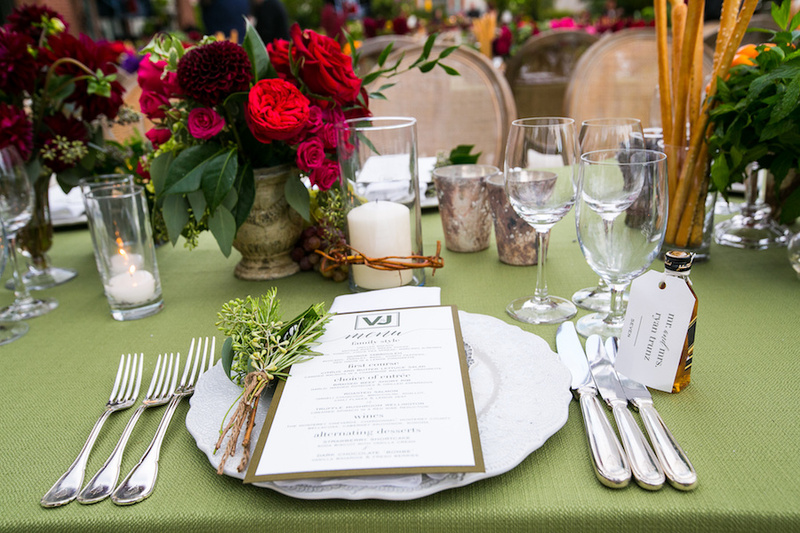 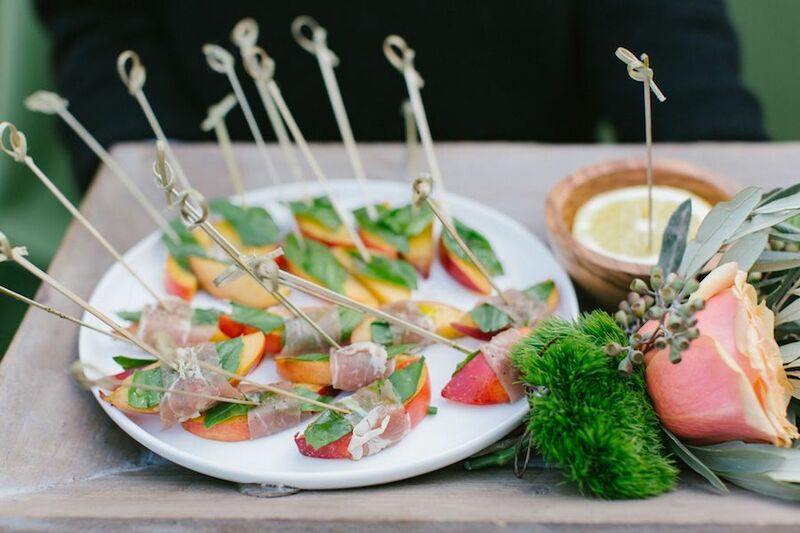 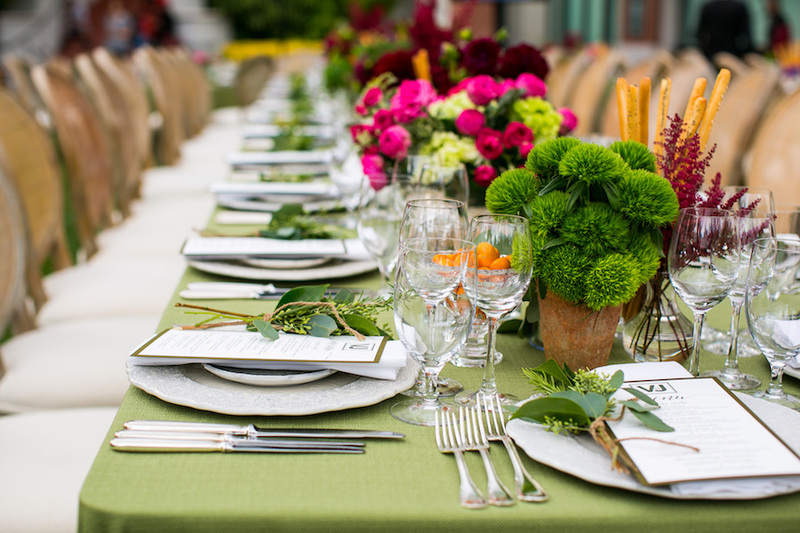 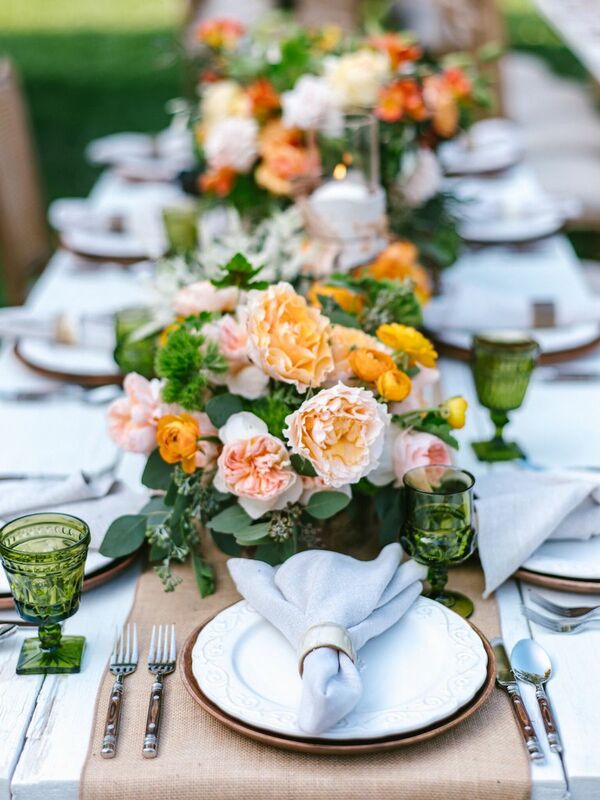 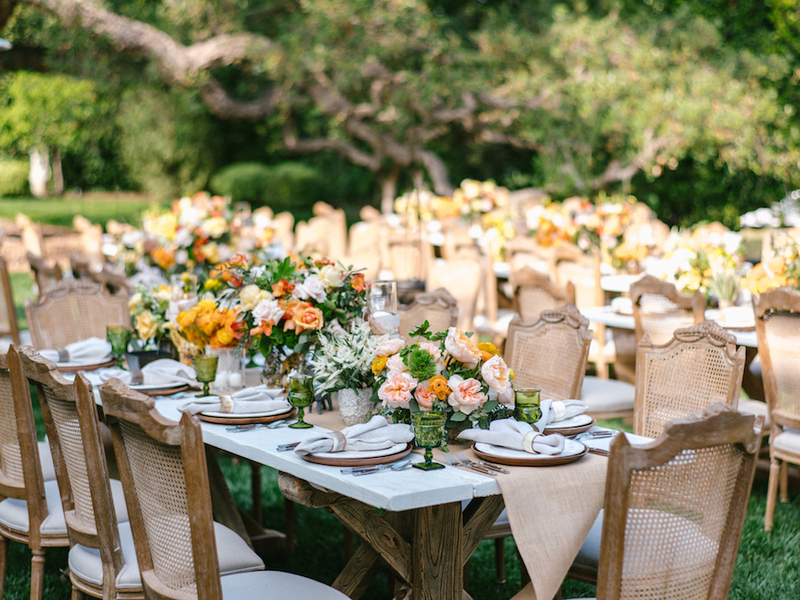 A delicious dinner produced by Chef Eric of Wolfgang Puck, a beautiful array of florals from Suzane Lemay and bright tabletop rentals from Casa de Perrin will have you dreaming of late summer days. 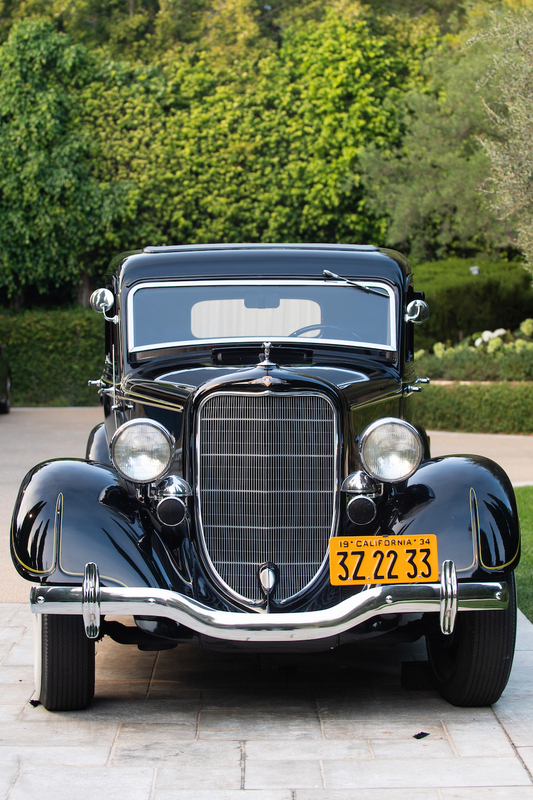 To set the tone for this milestone celebration, guests were welcomed by a vintage 1930’s Dodge set up as a photo op. 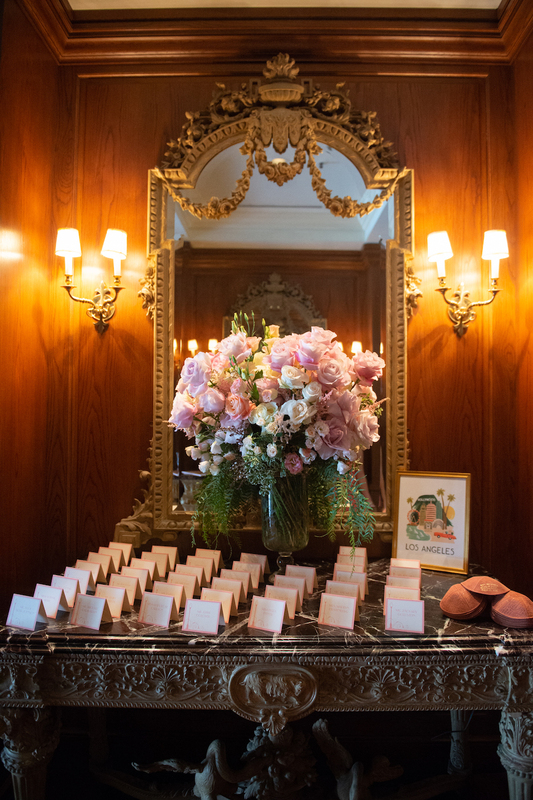 Guests were able to dress up from a selection of 1920 and 1930’s inspired accessories. 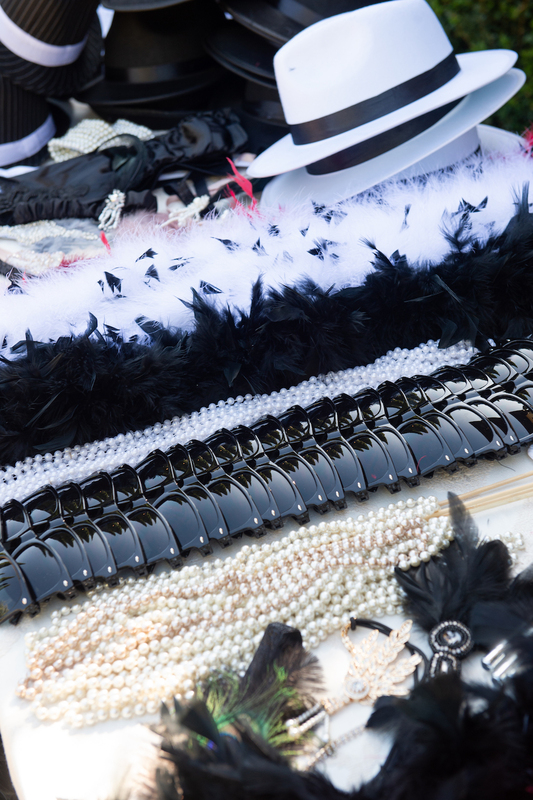 Headpieces, long pearls, feather boas, opera gloves, sunglasses, hats, and army attire, to name a few. 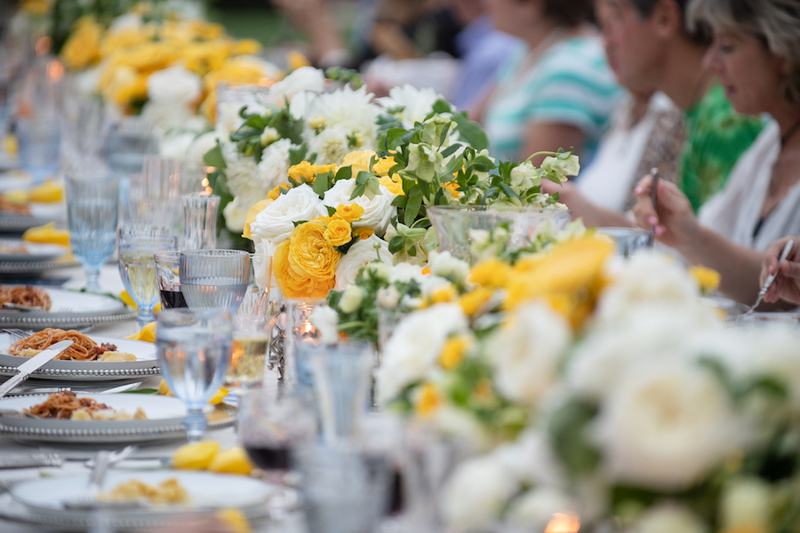 The guest of honor’s nearest and dearest were seated at one long family-style table. 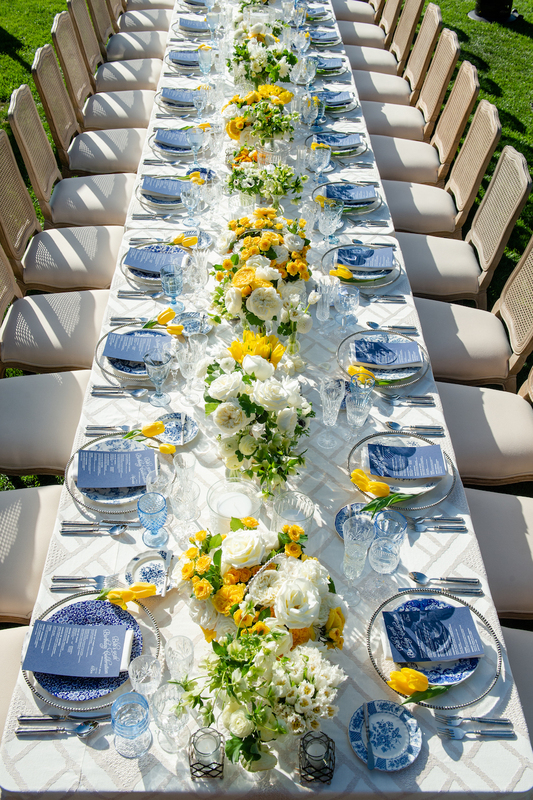 The tabletop decor featured elegant blue mix-matched patterned dinner plates placed atop transparent, silver-rimmed chargers. 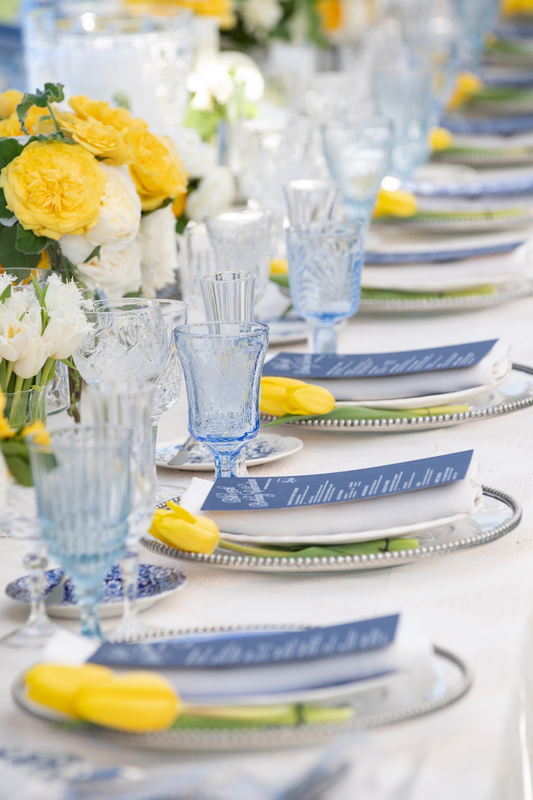 Vintage sky blue glassware and vintage crystal glassware added a classy touch. 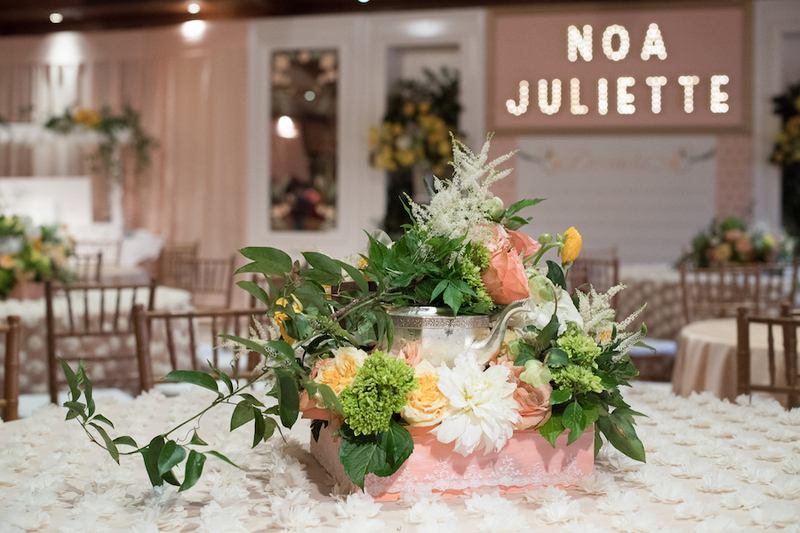 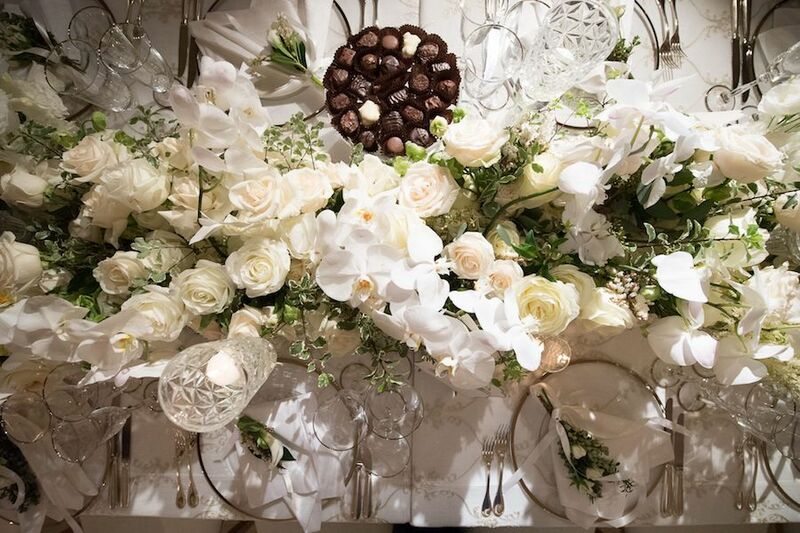 We filled the table with stunning florals of golden tulips, golden yellow and white garden roses, cream ranunculus, anemones, and lush greenery filled in cut glass and vintage silver containers. 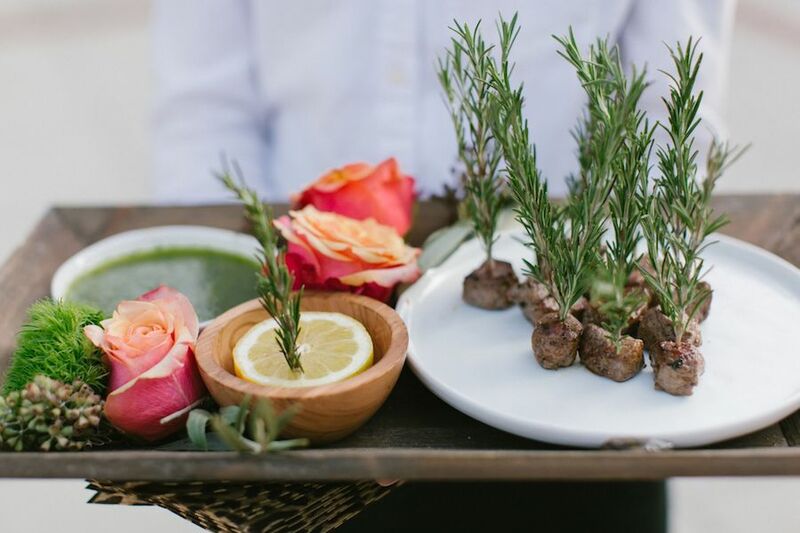 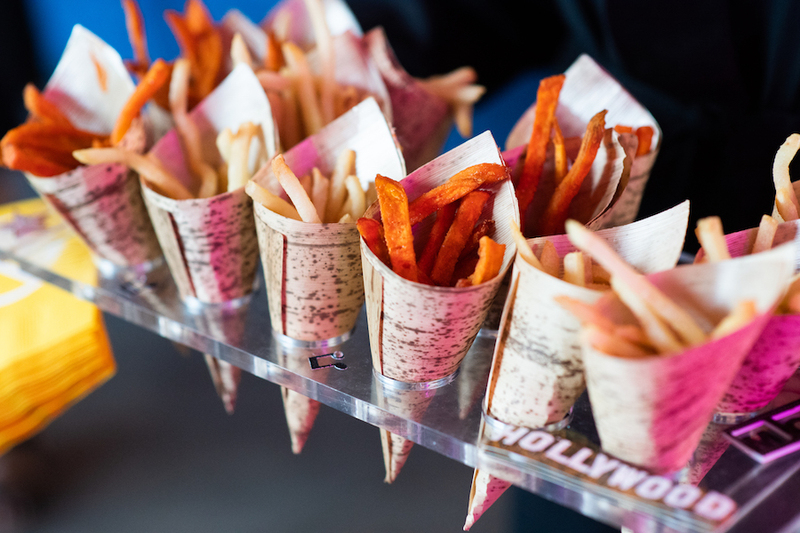 Before guests were seated for a delicious feast from Wolfgang Puck, they were treated to scrumptious tray passed hors-d’oeuvres. 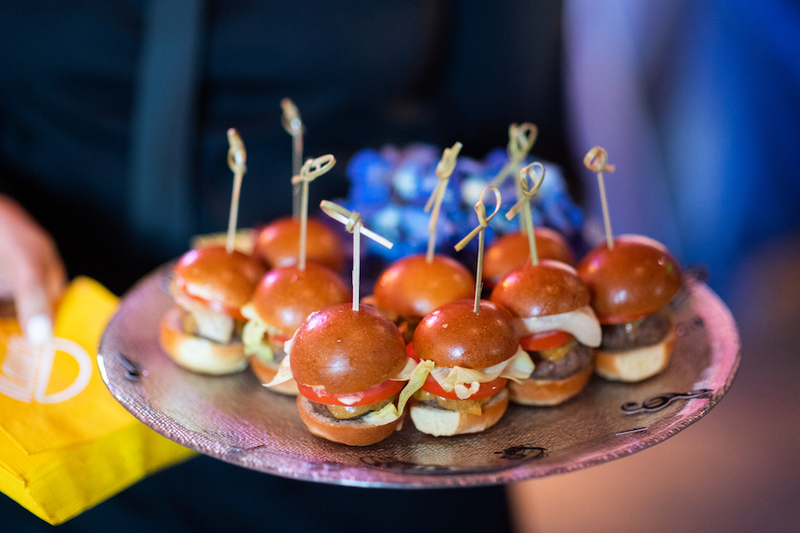 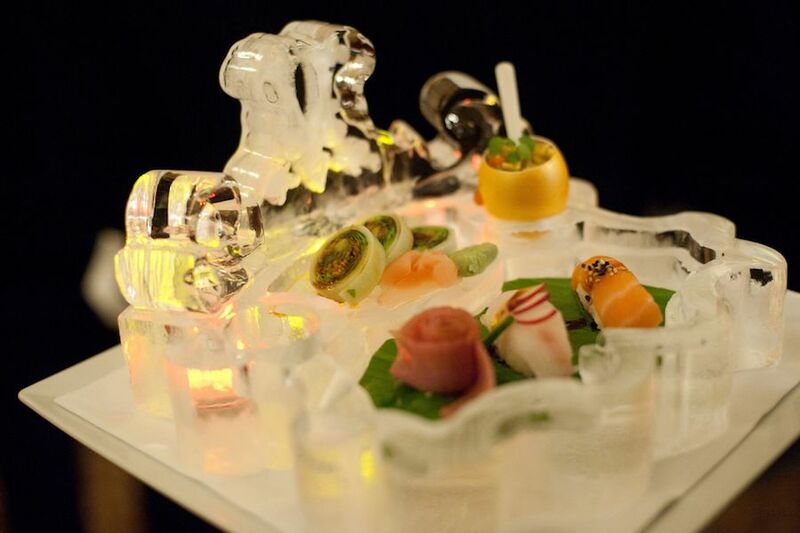 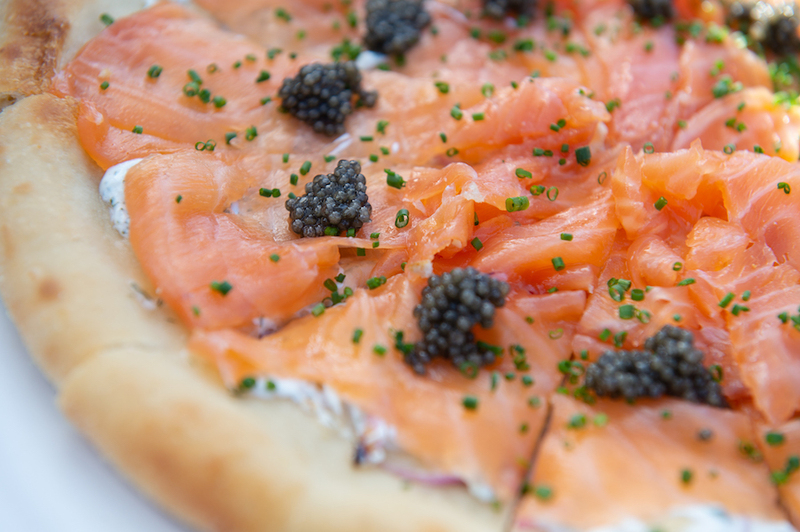 Deconstructed sliders and salmon caviar pizza were enjoyed along with exceptional cocktails from the floral-filled bar. 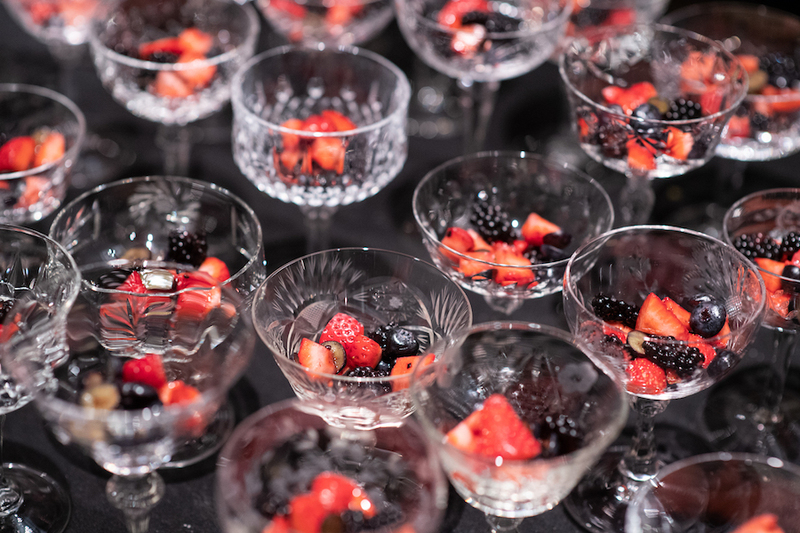 As dinner time arrived, guests enjoyed a yummy five-course meal which included favorites such as chilled gazpacho, duo of pasta, loup de mer, trio of sorbets and of course birthday cake!! 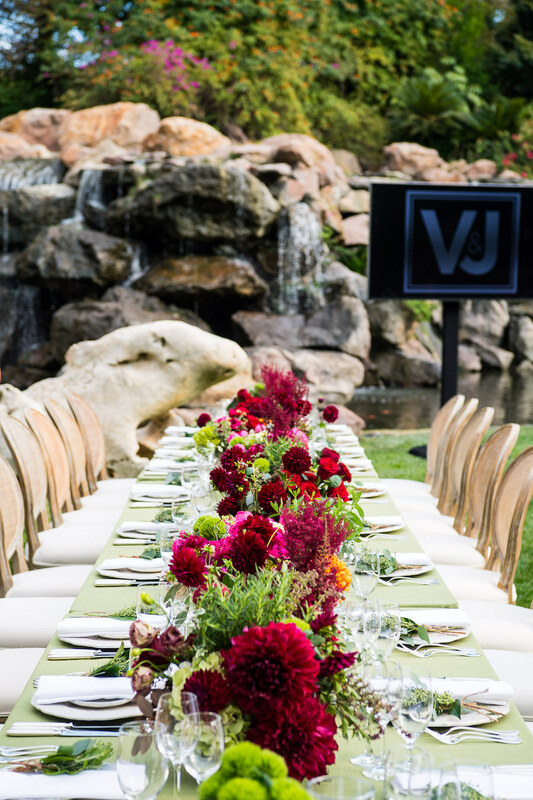 As always we can’t thank our amazing creative team enough for helping to bring our client’s monumental 95th celebration to life. 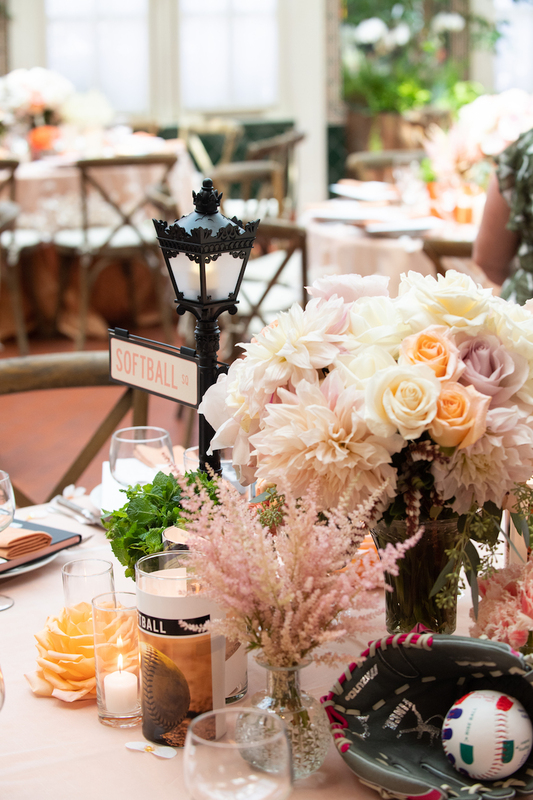 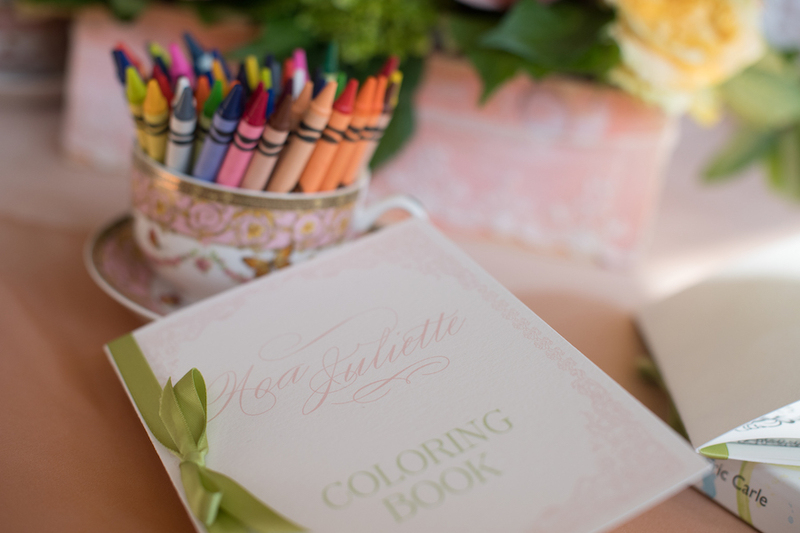 And, thank you to Elizabeth Solano for expertly capturing the details of the day! 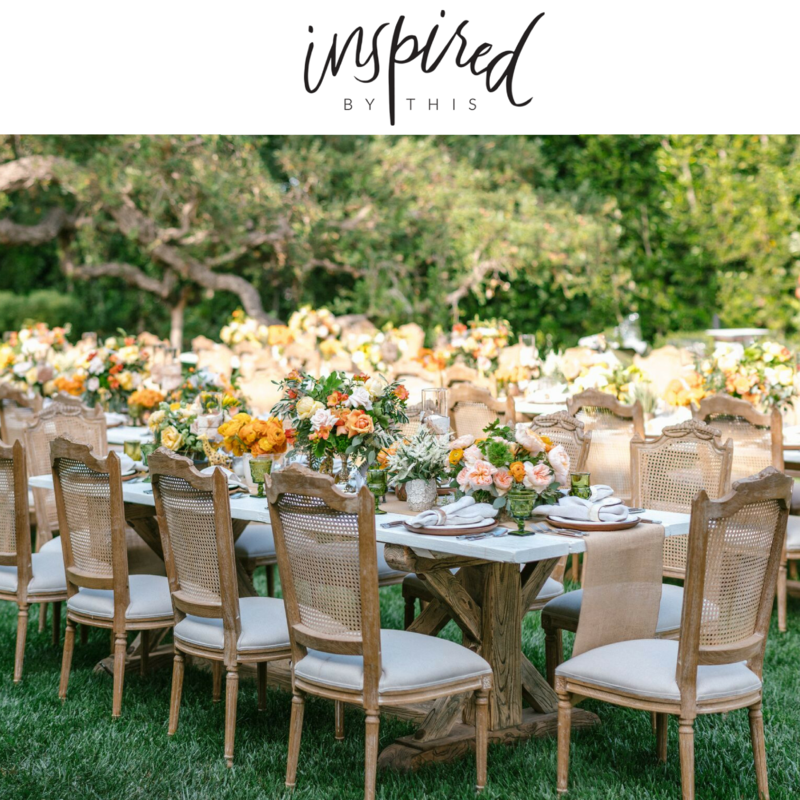 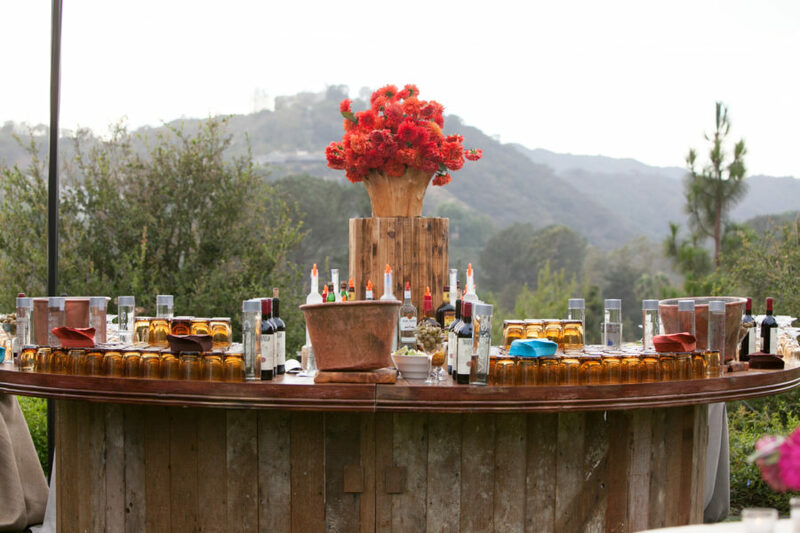 We are thrilled the safari themed baby shower we planned and designed is now featured on Inspired By This! 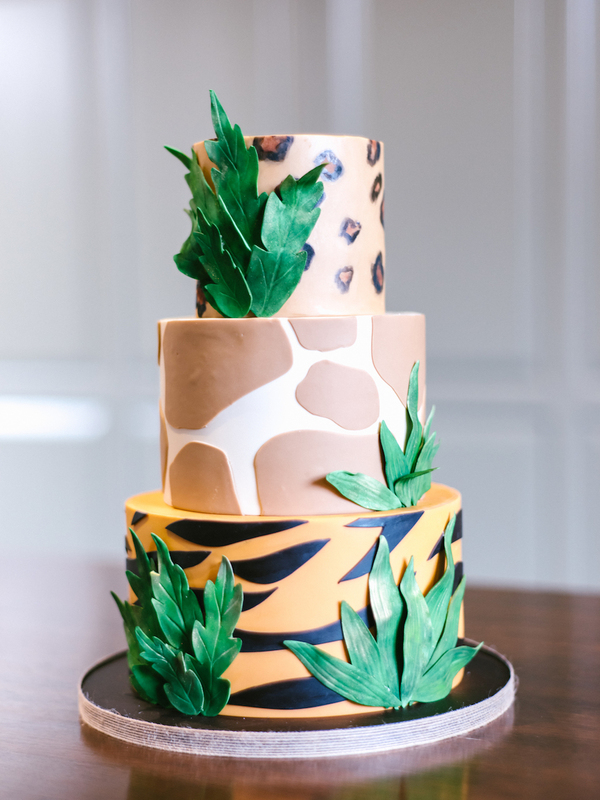 With vintage safari animals; lions, tigers, bears (oh my!) 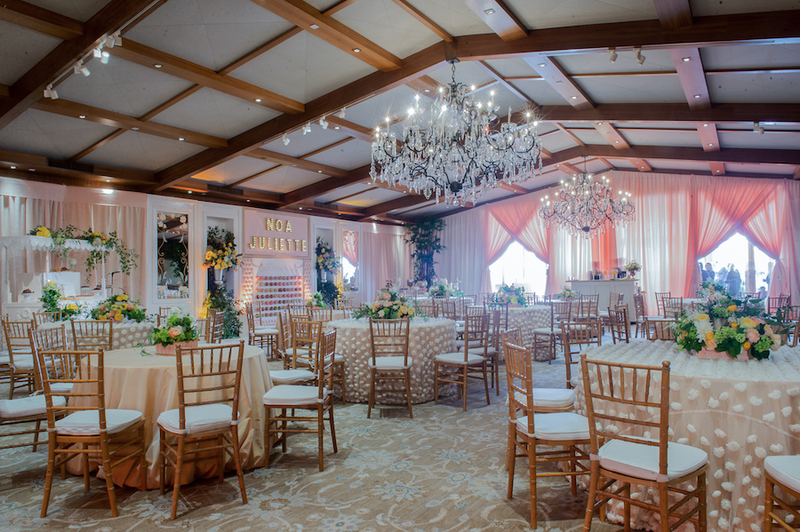 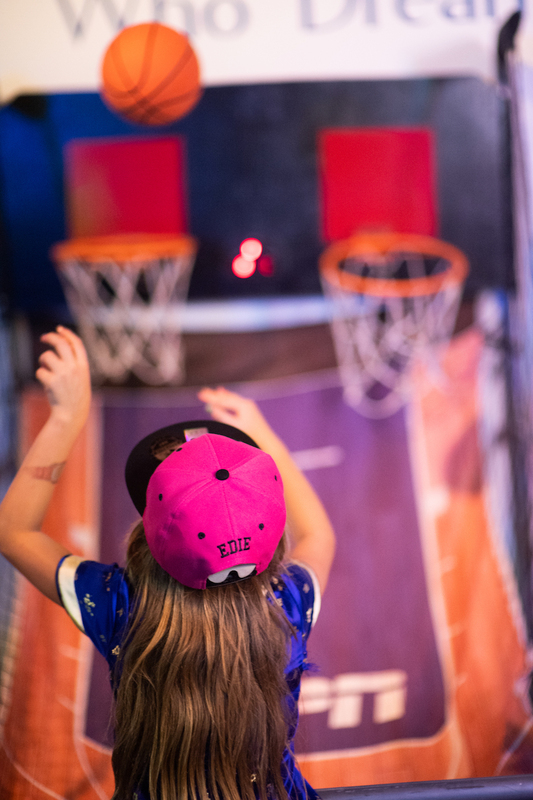 giraffes and monkeys found throughout the space you will love all of the wild kingdom details! 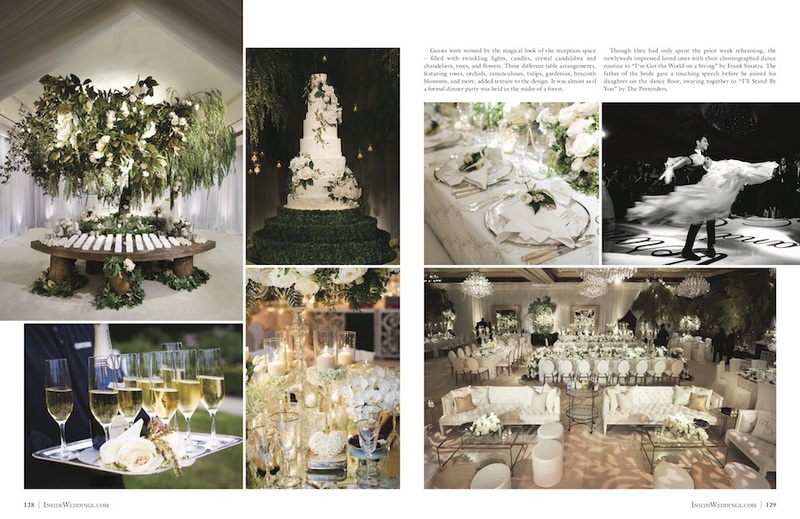 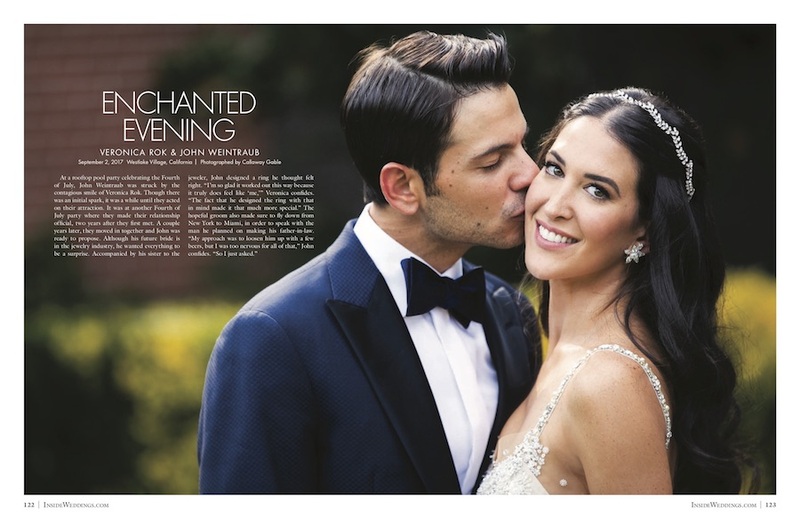 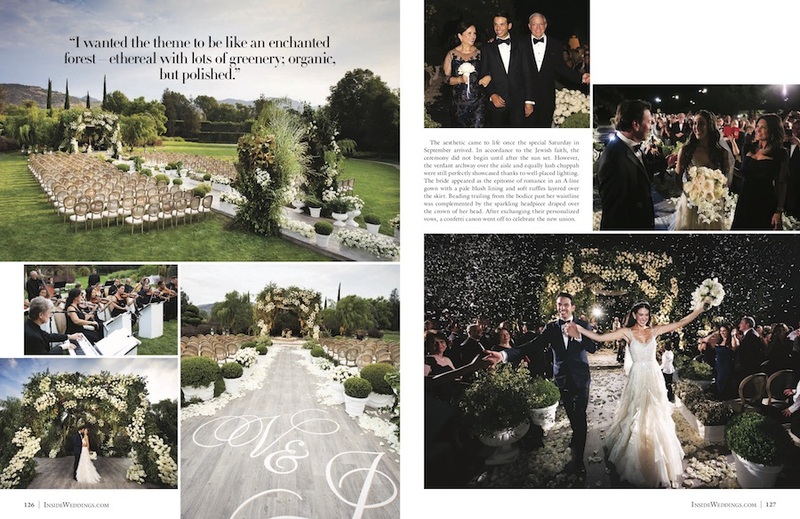 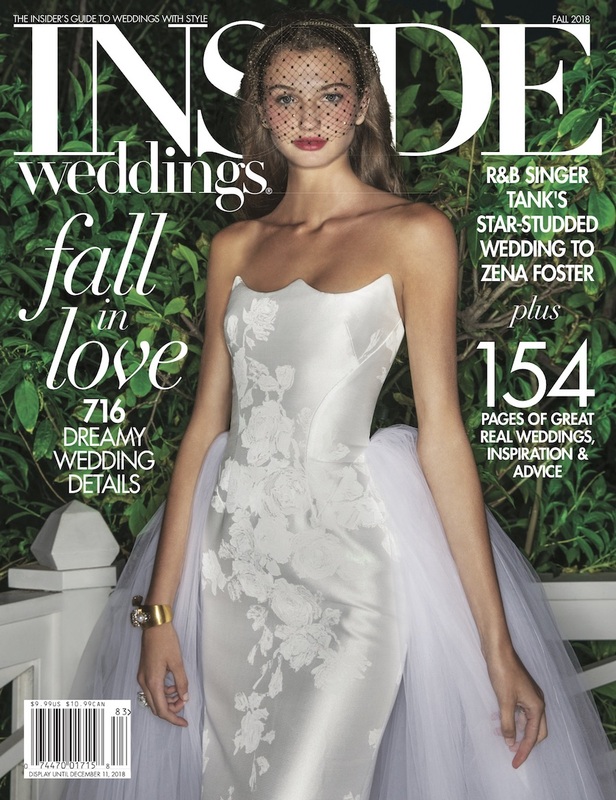 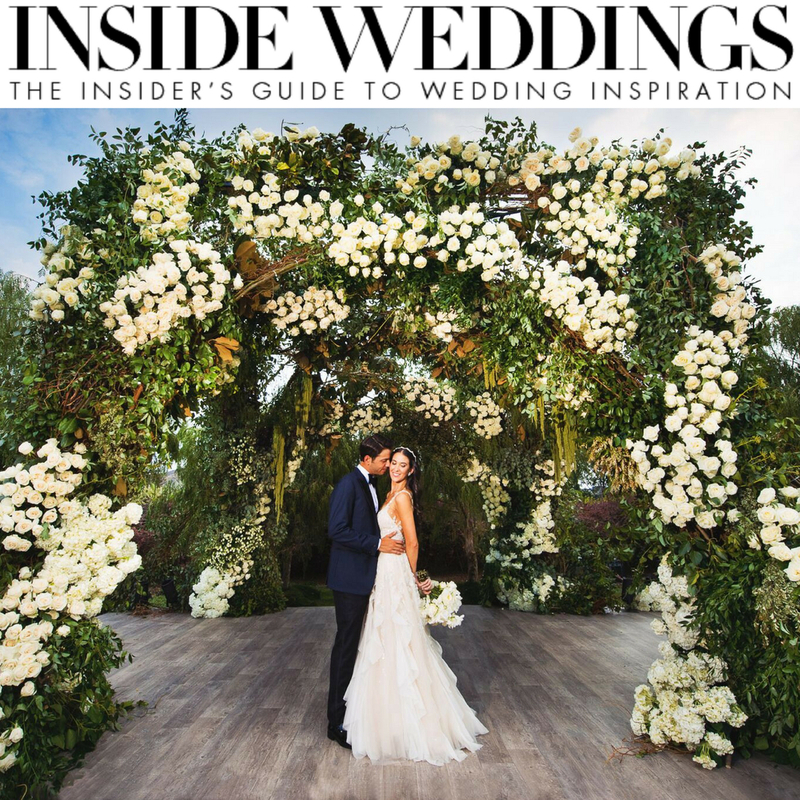 A year after our East Couple said I do, we are ecstatic to share that Veronica and John’s polished enchanted garden wedding we planned and designed is featured in the 2018 Fall/Winter issue of Inside Weddings! 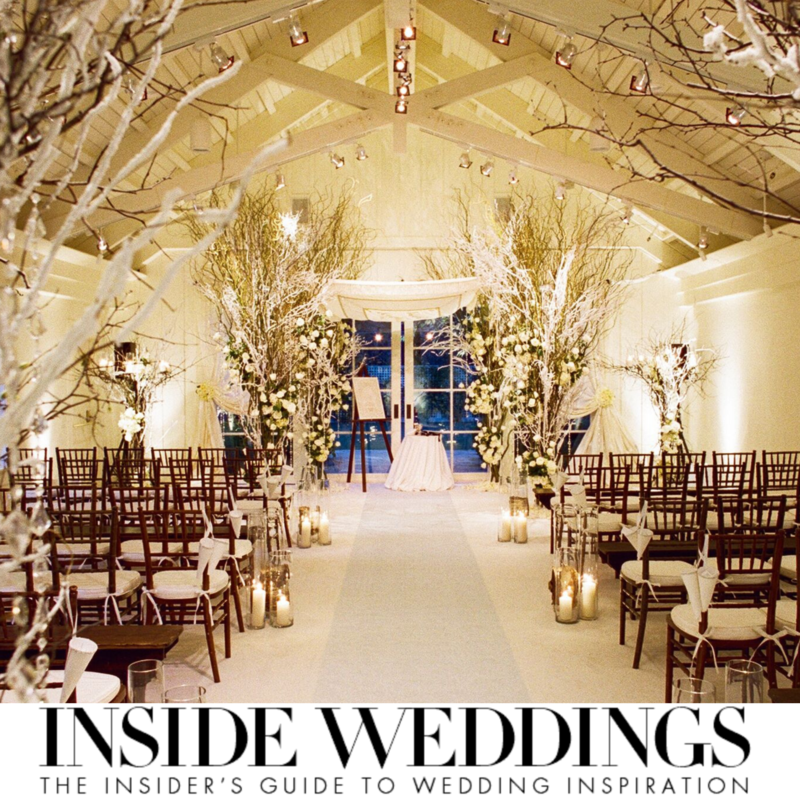 Pick up your issue on stands now!